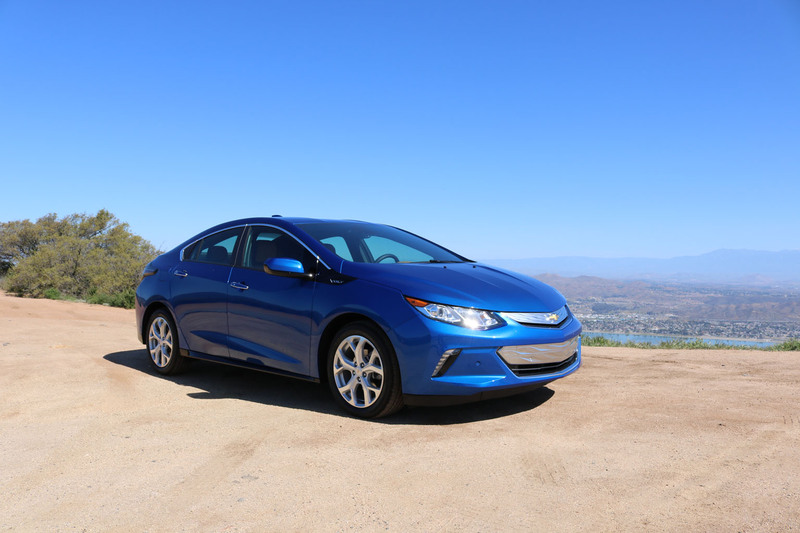 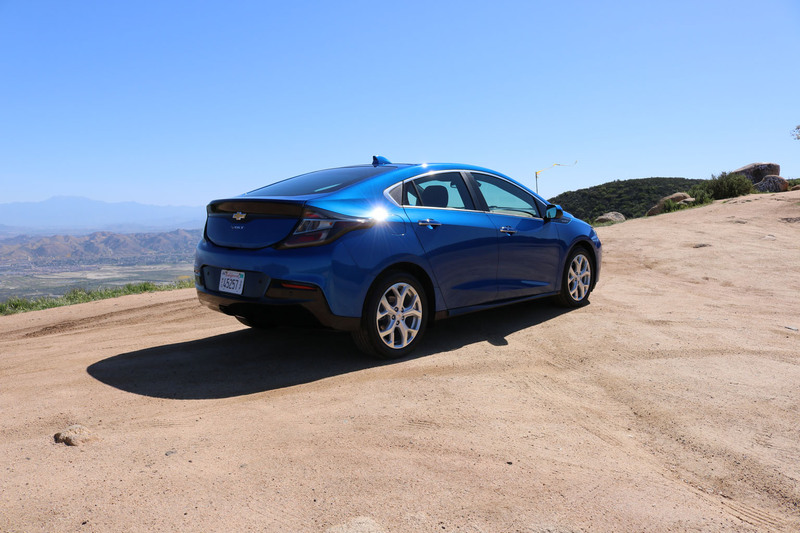 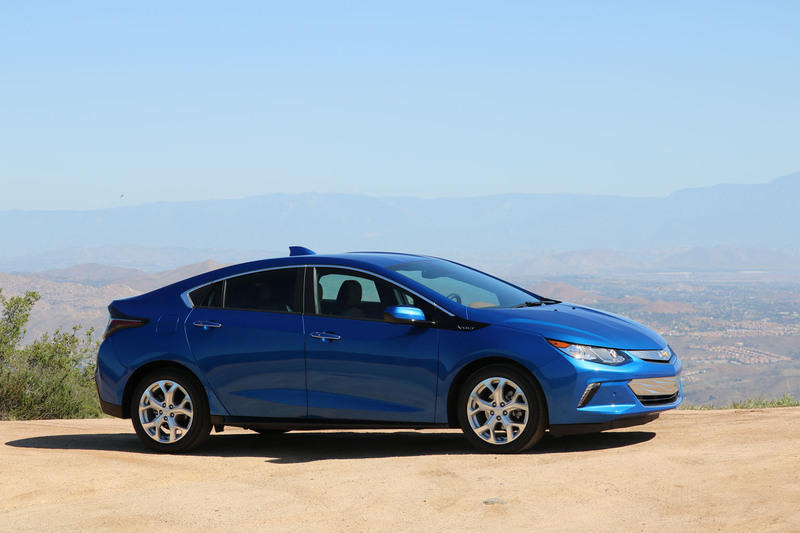 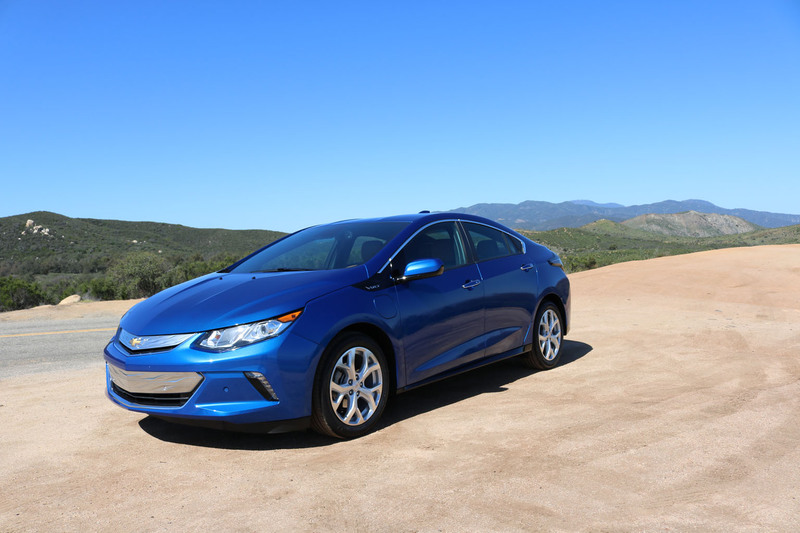 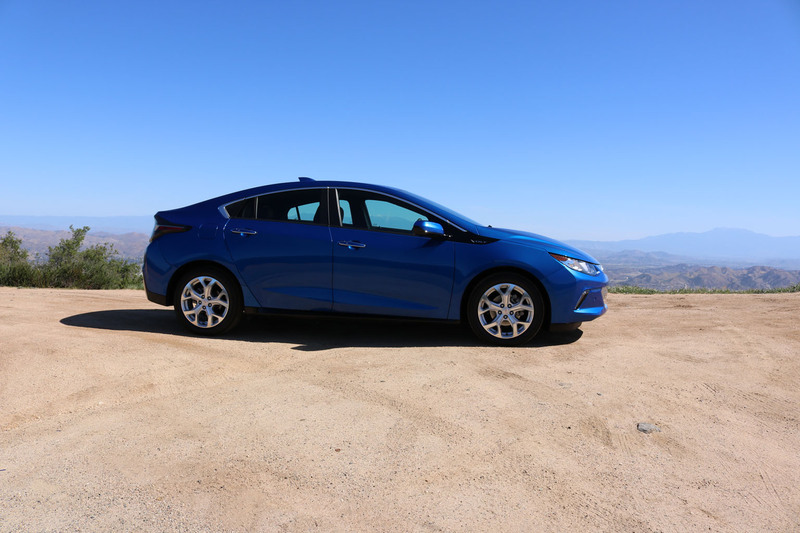 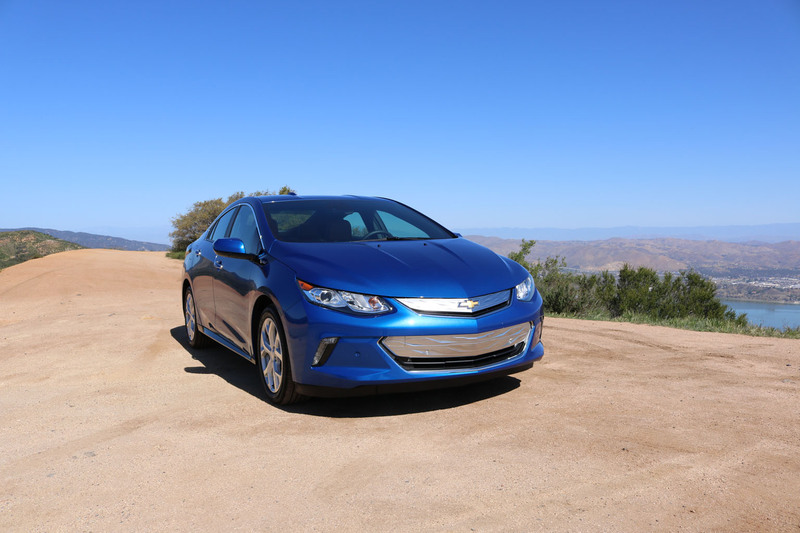 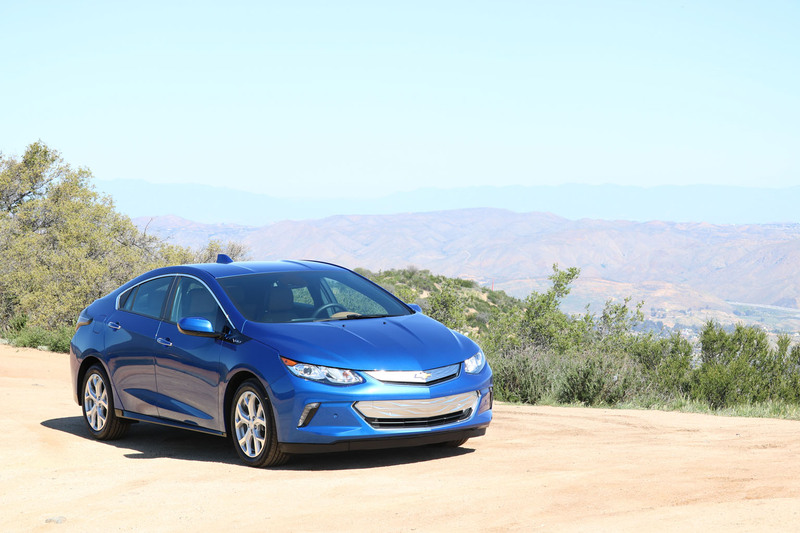 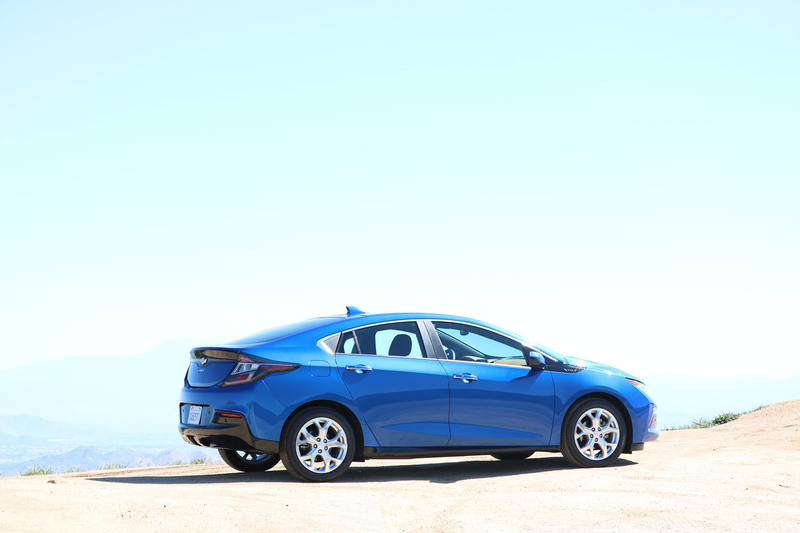 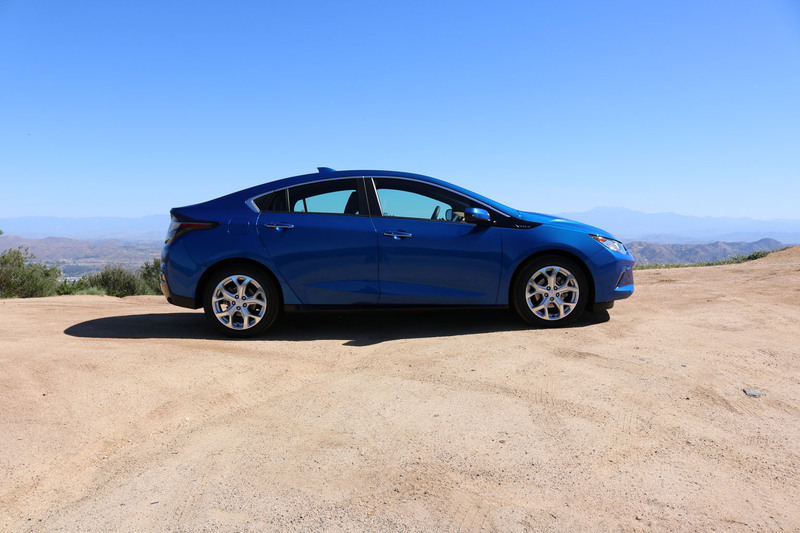 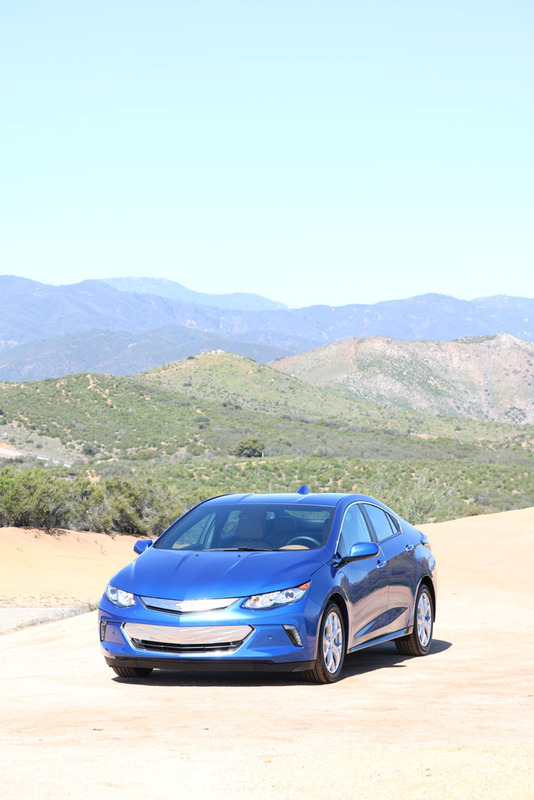 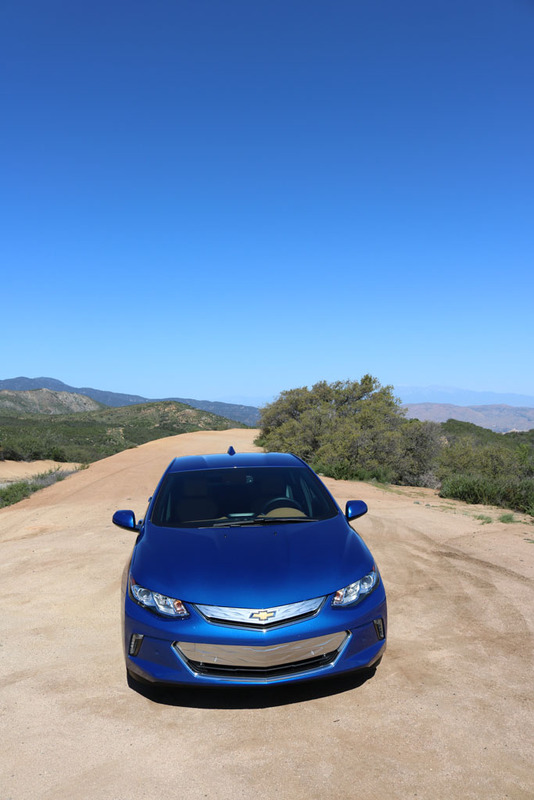 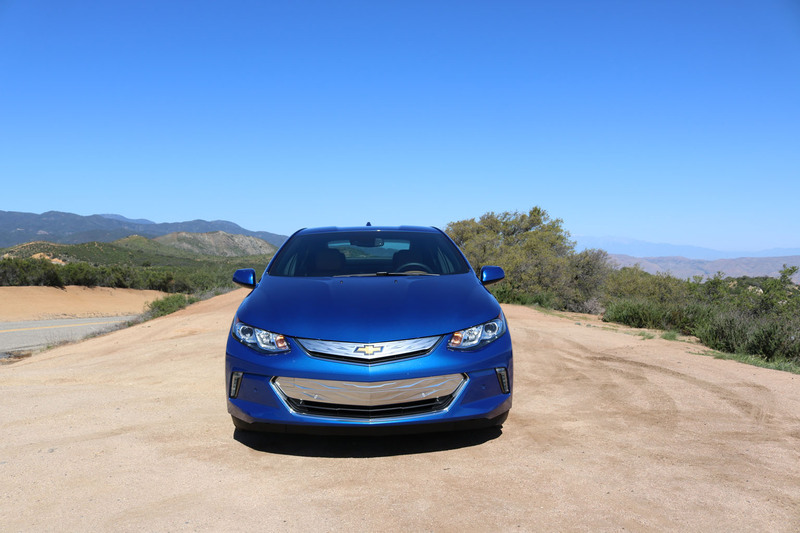 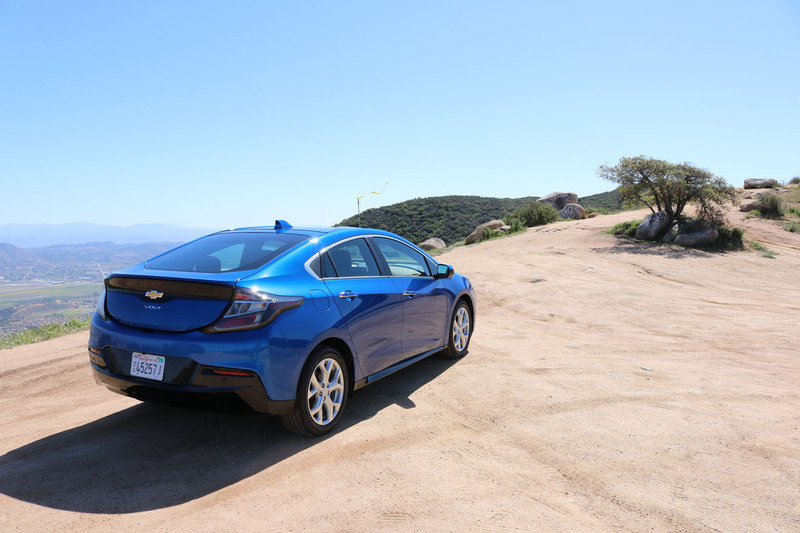 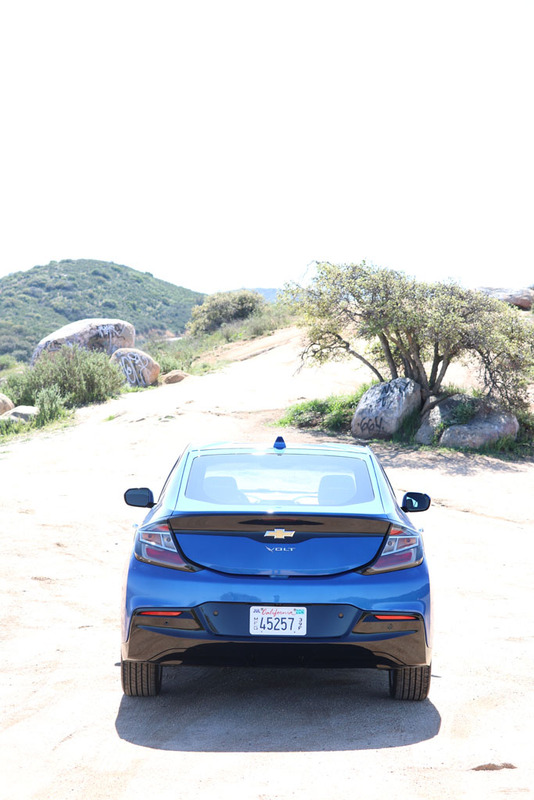 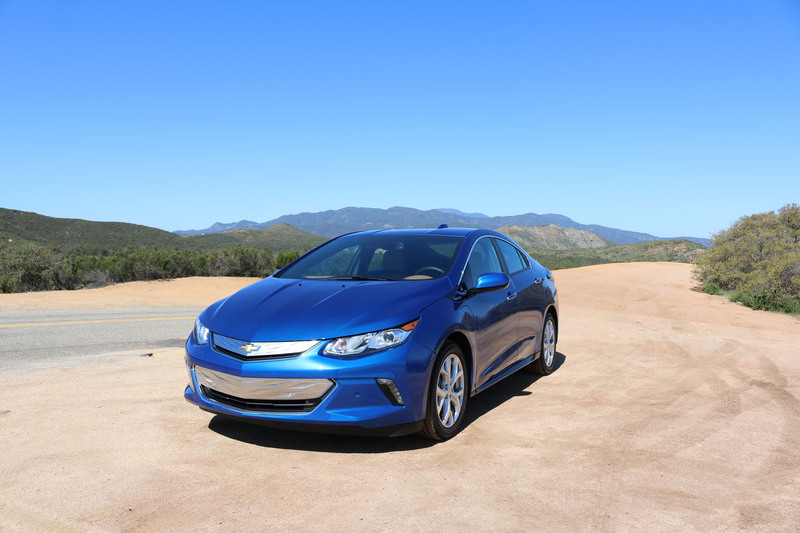 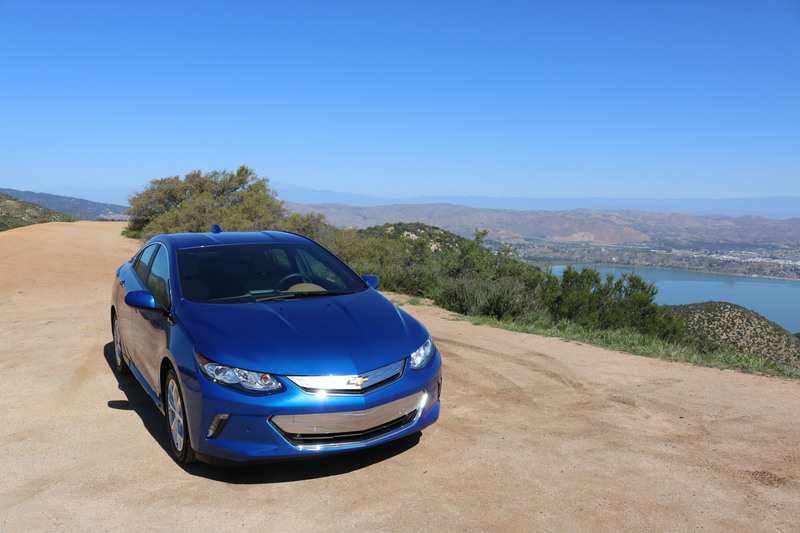 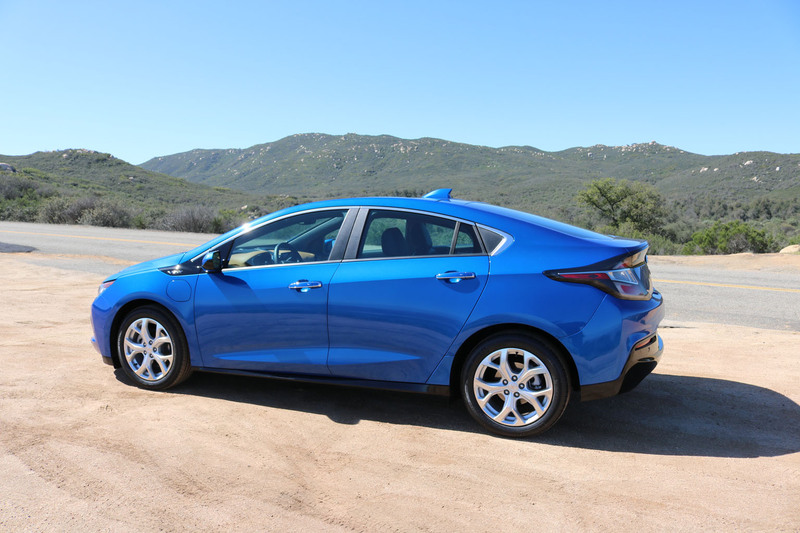 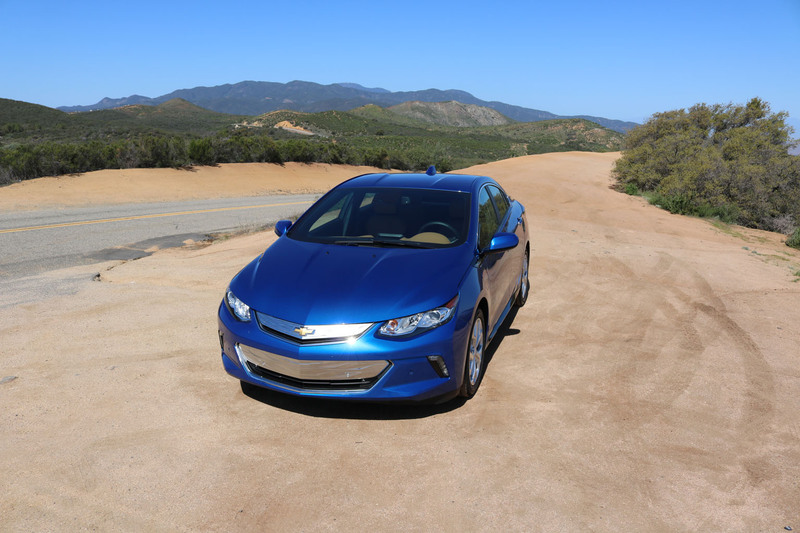 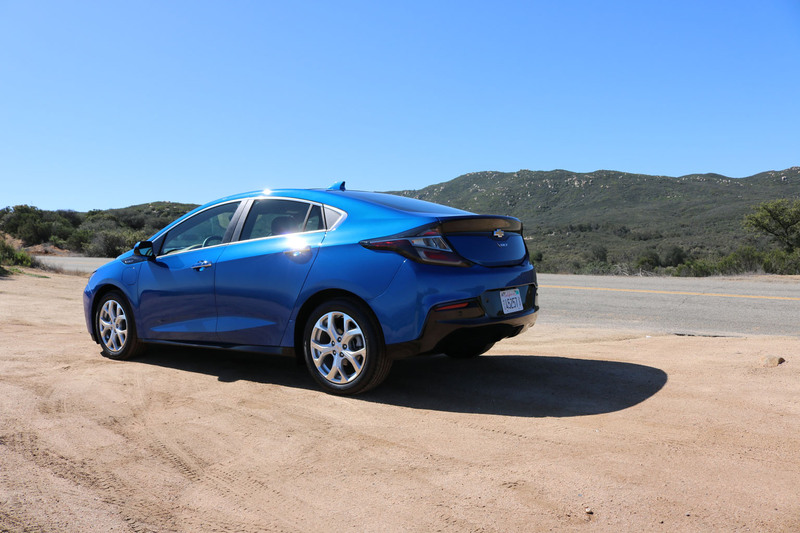 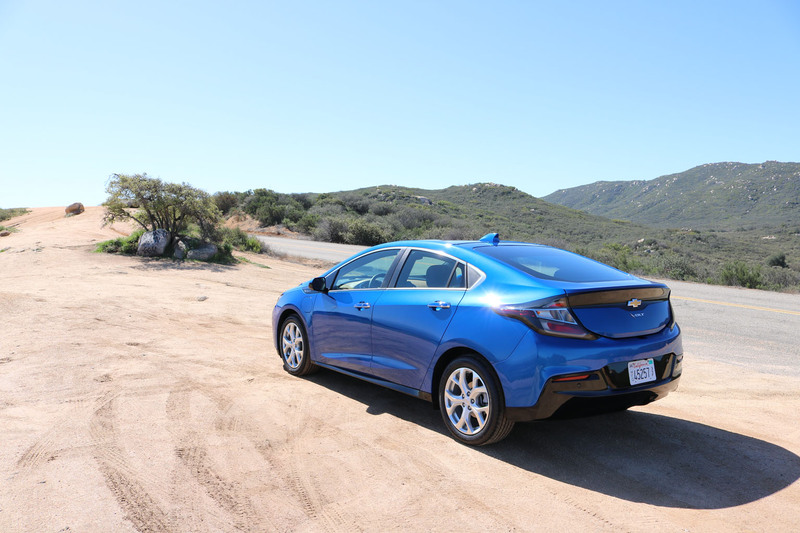 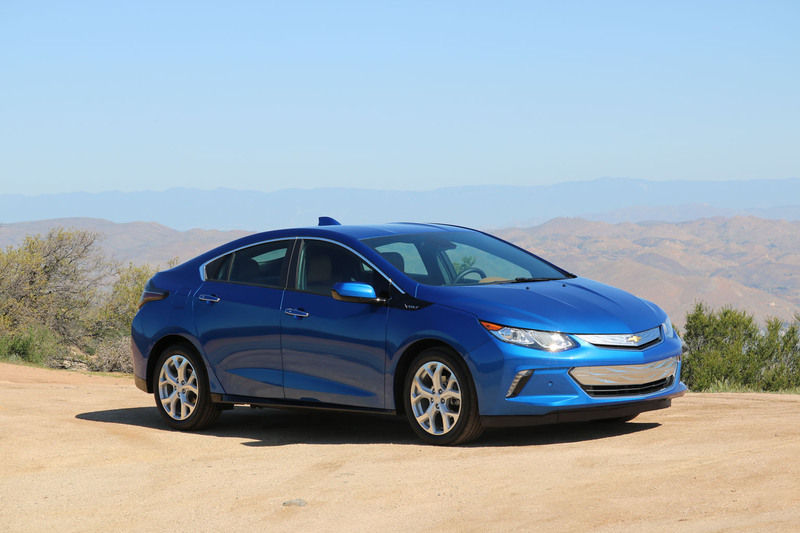 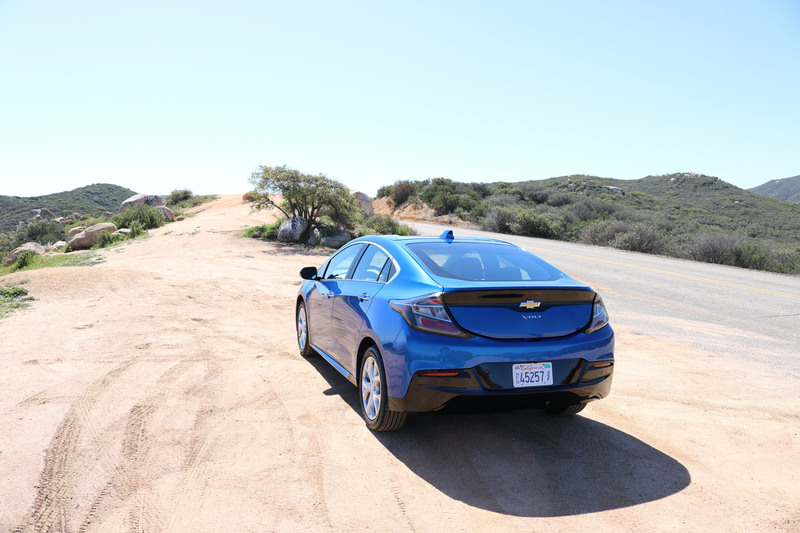 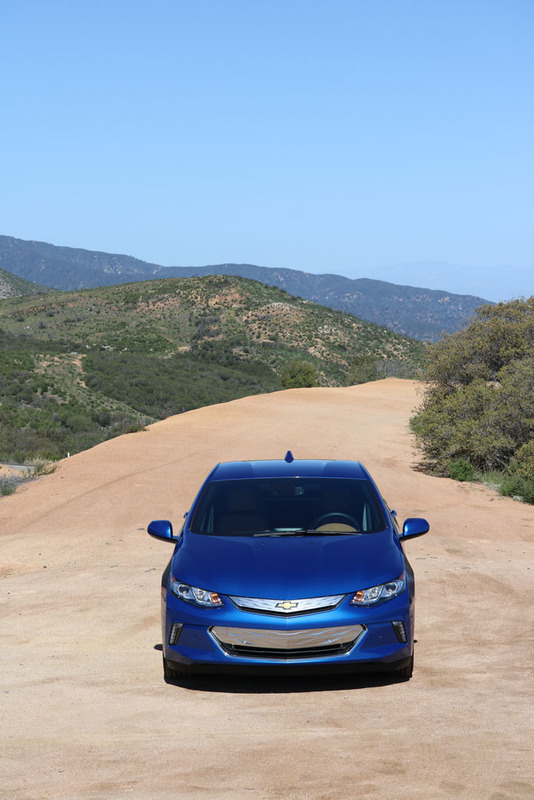 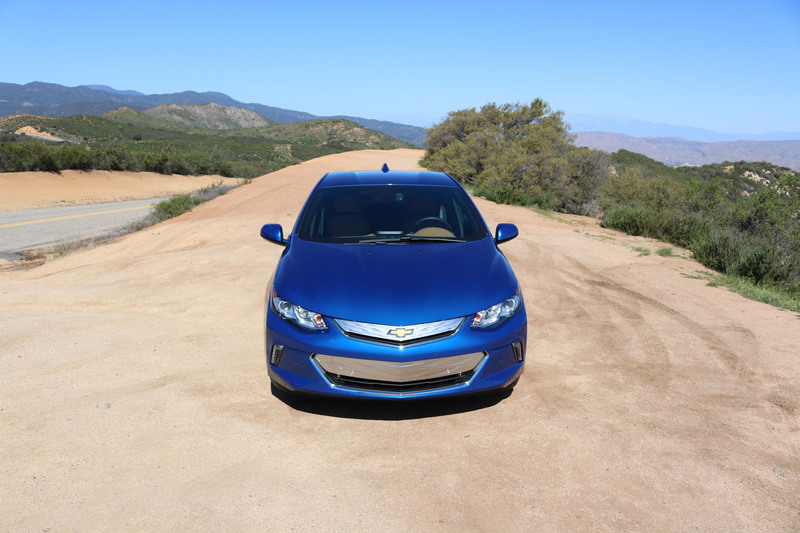 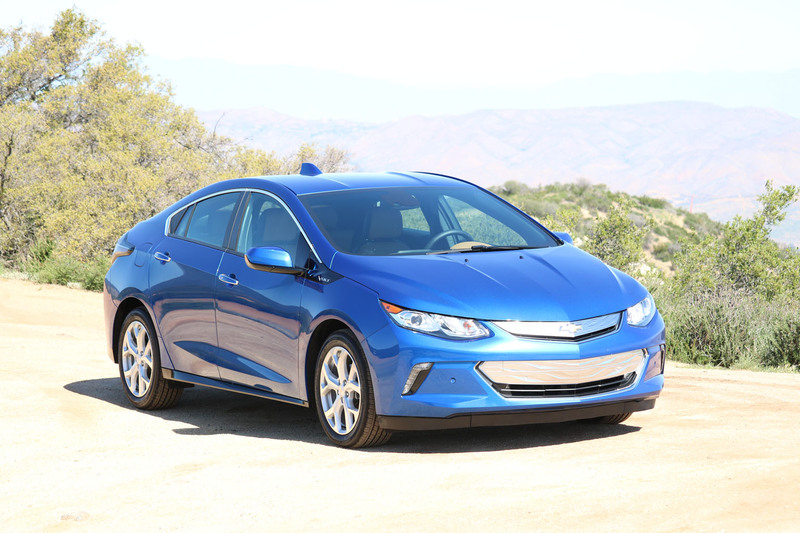 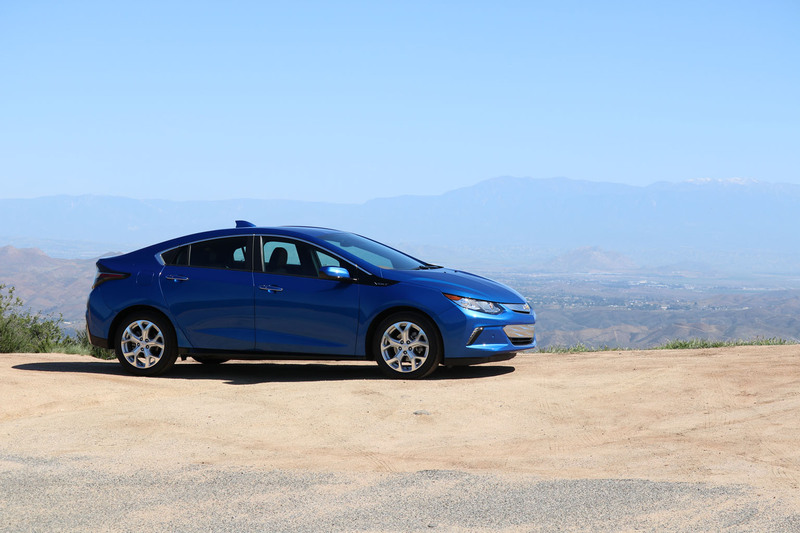 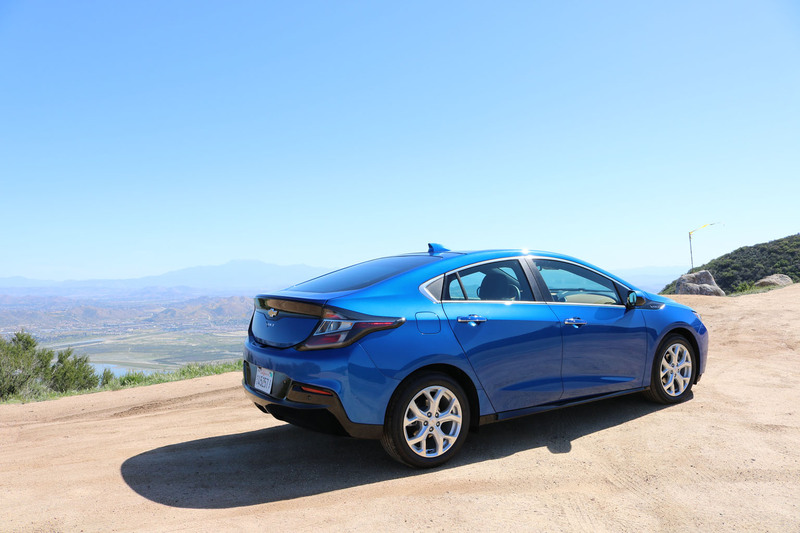 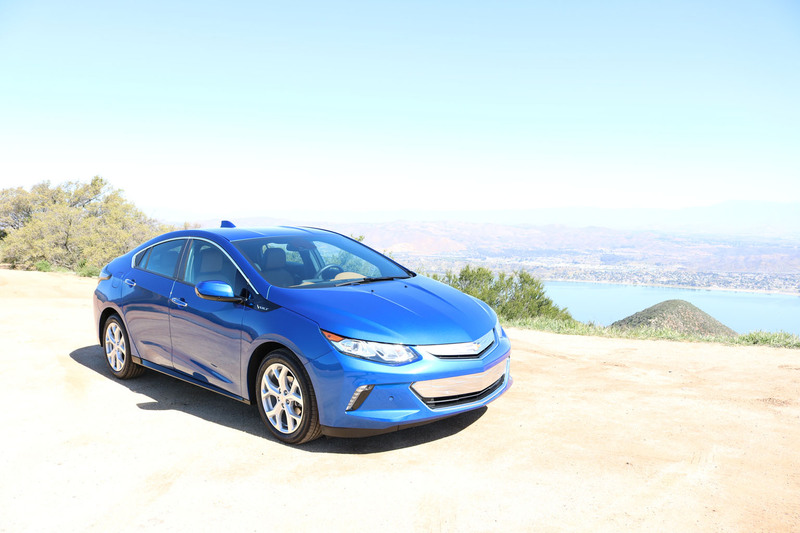 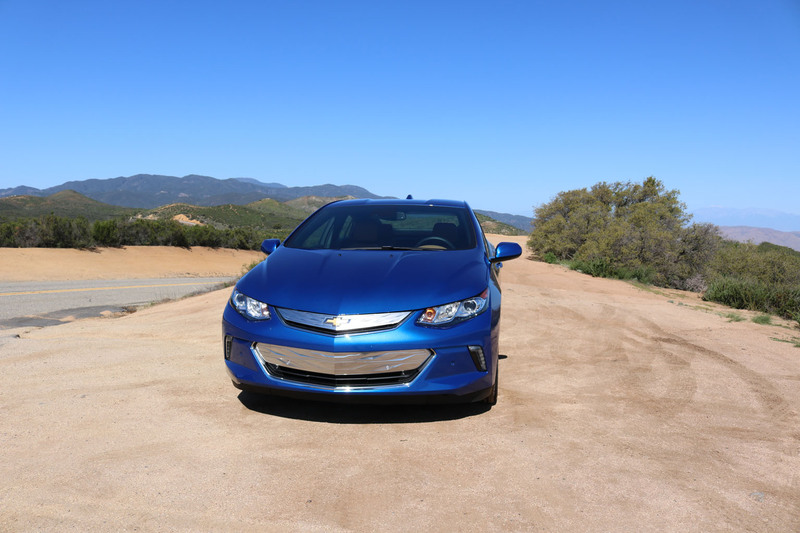 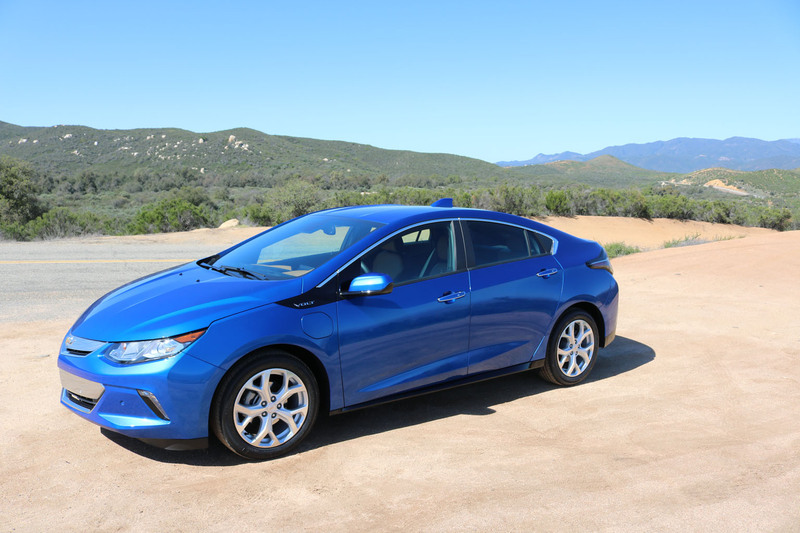 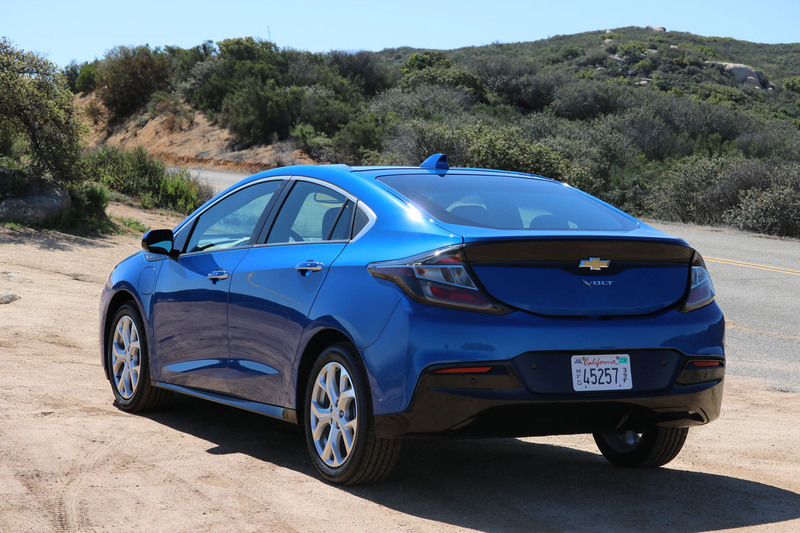 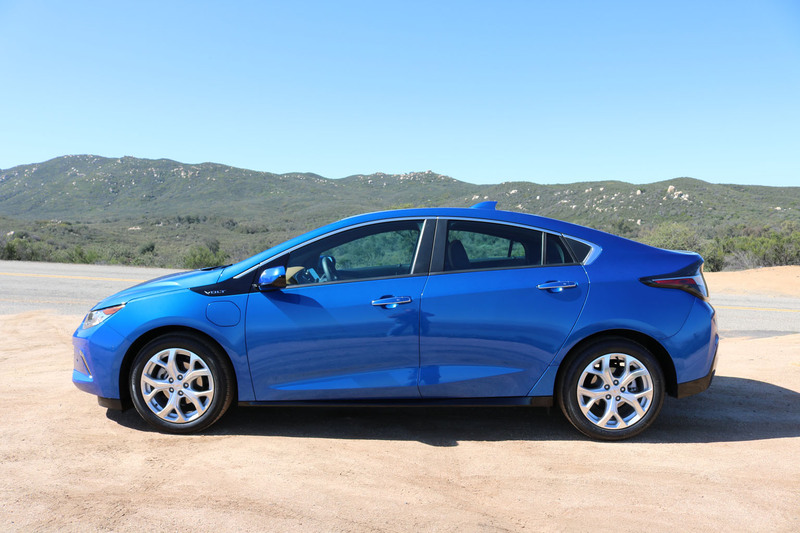 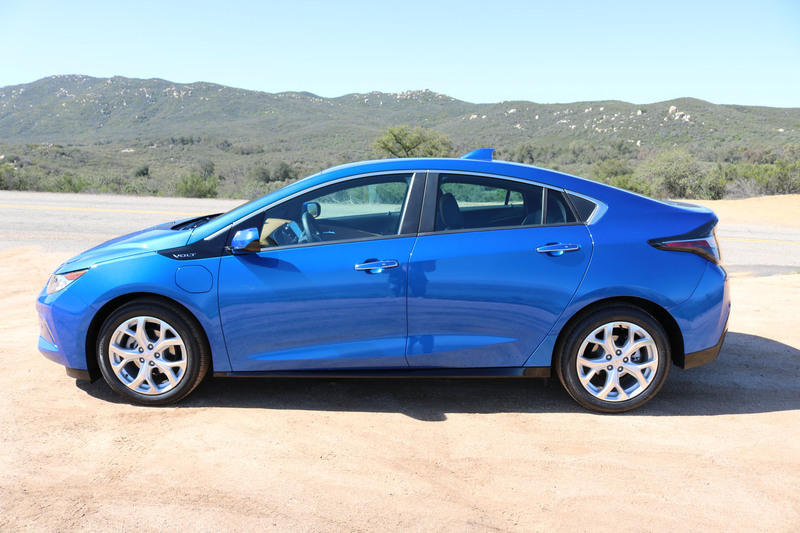 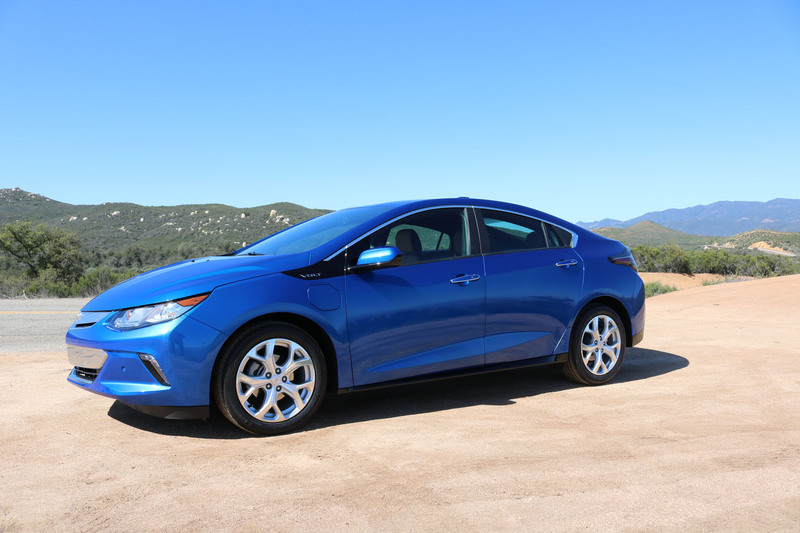 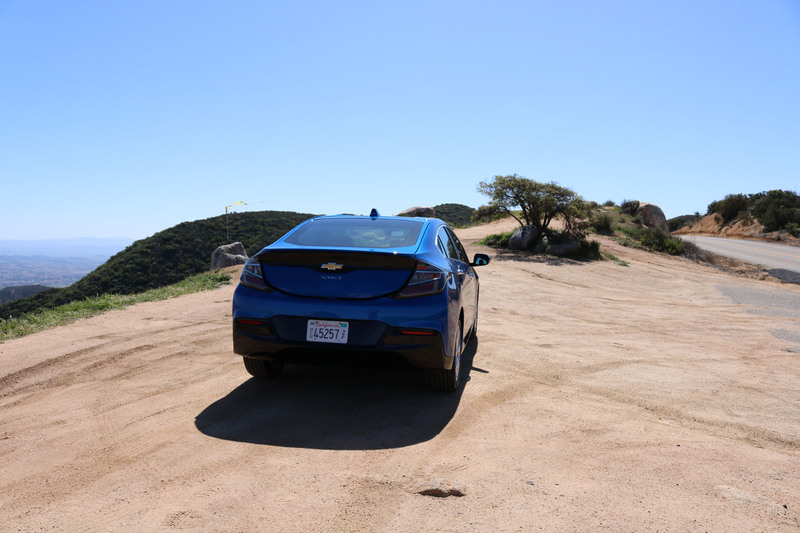 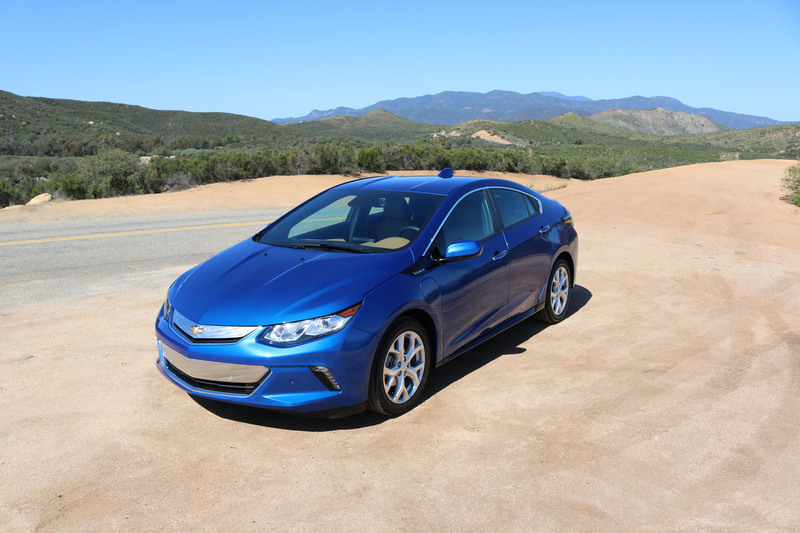 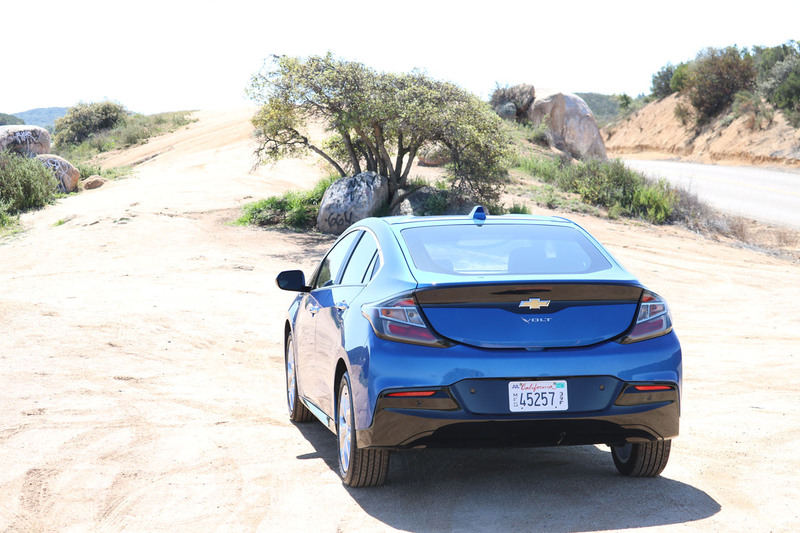 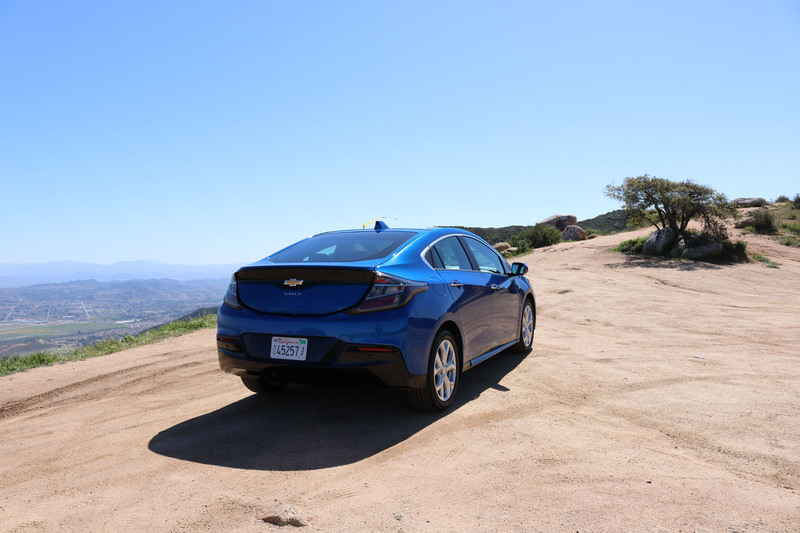 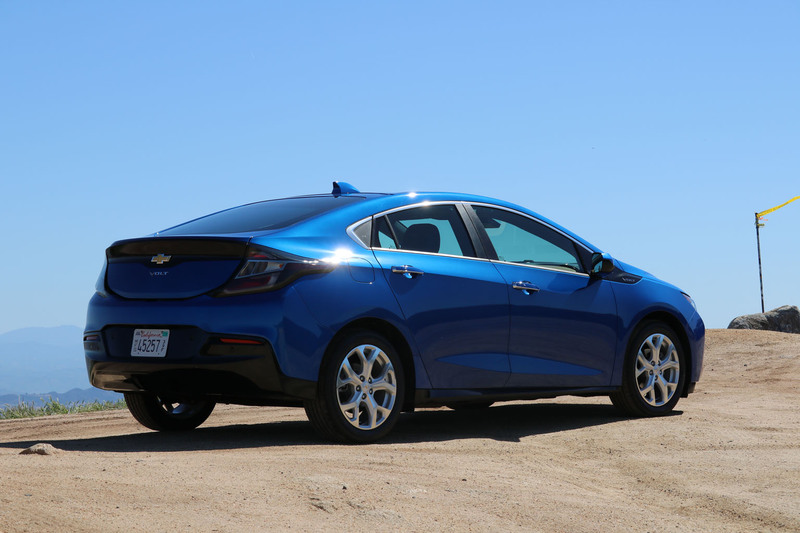 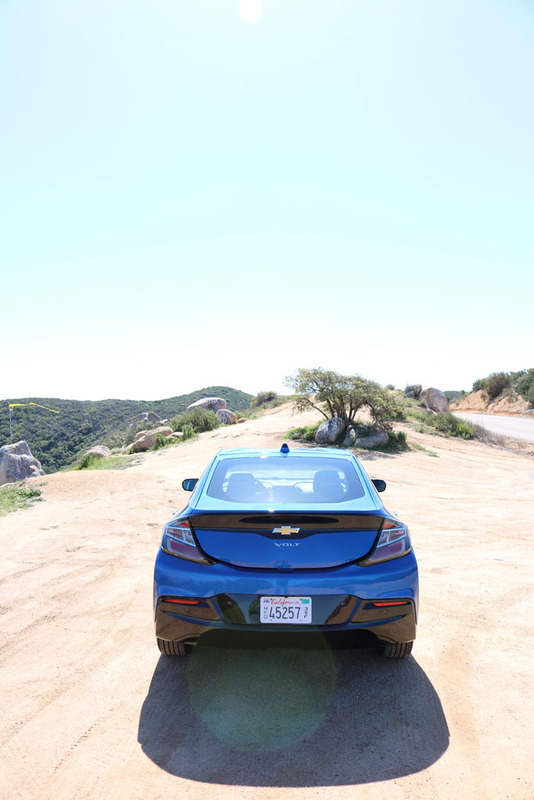 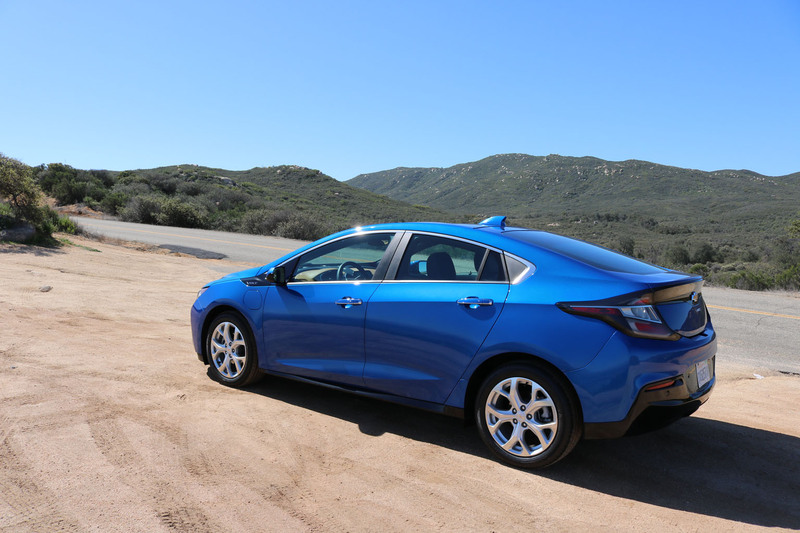 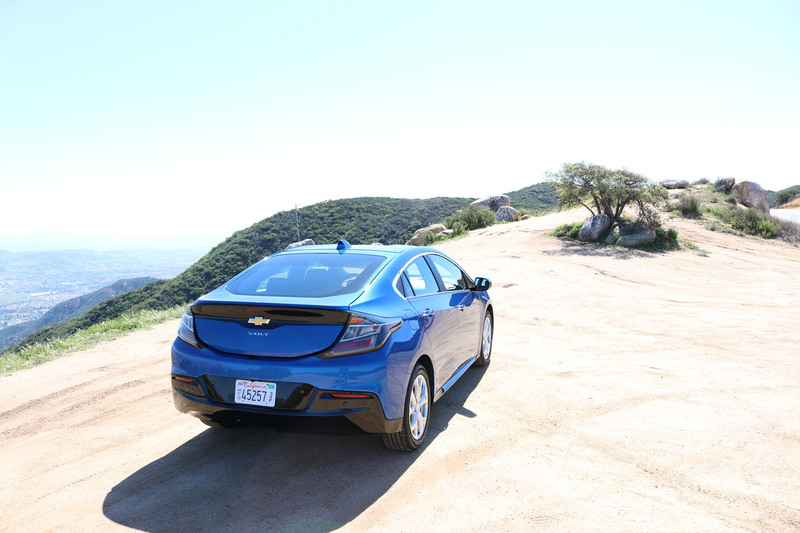 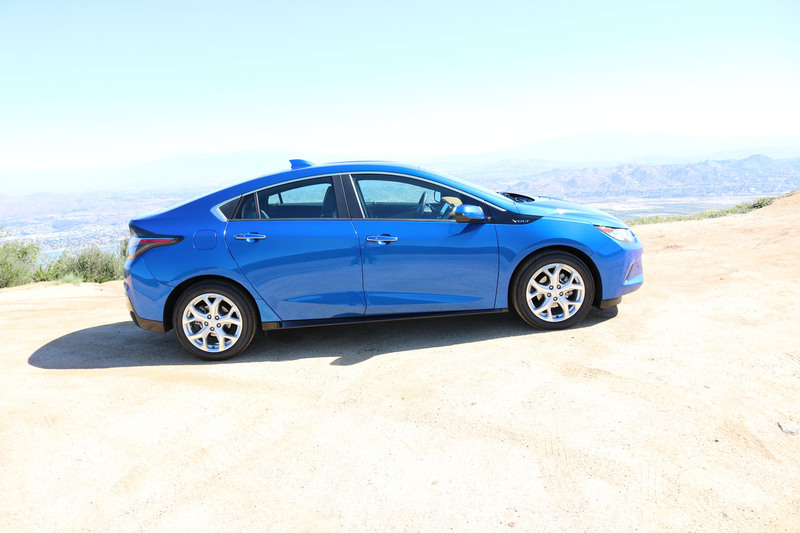 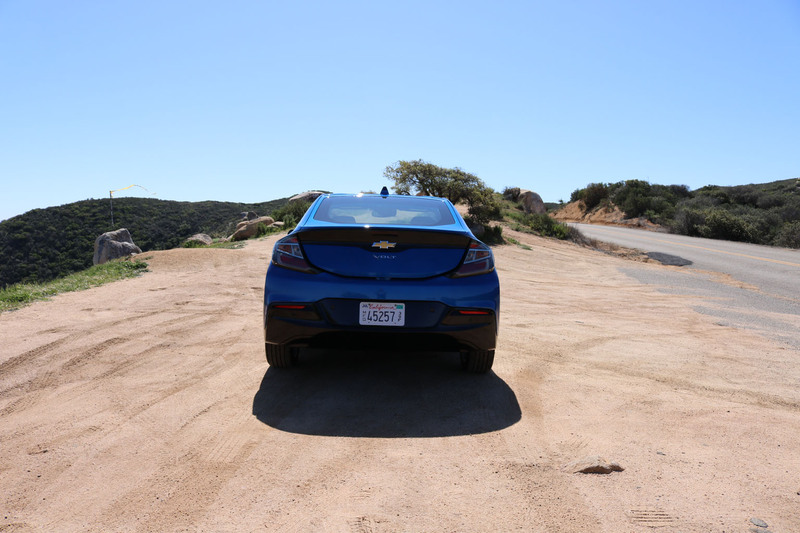 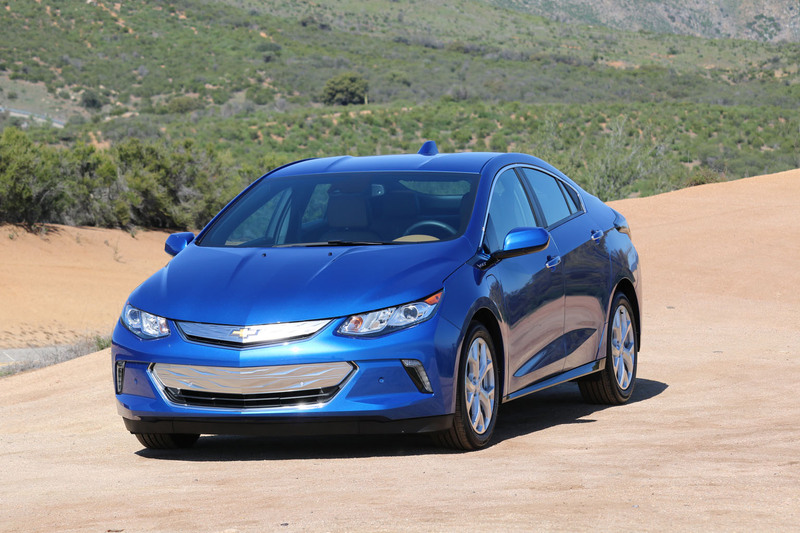 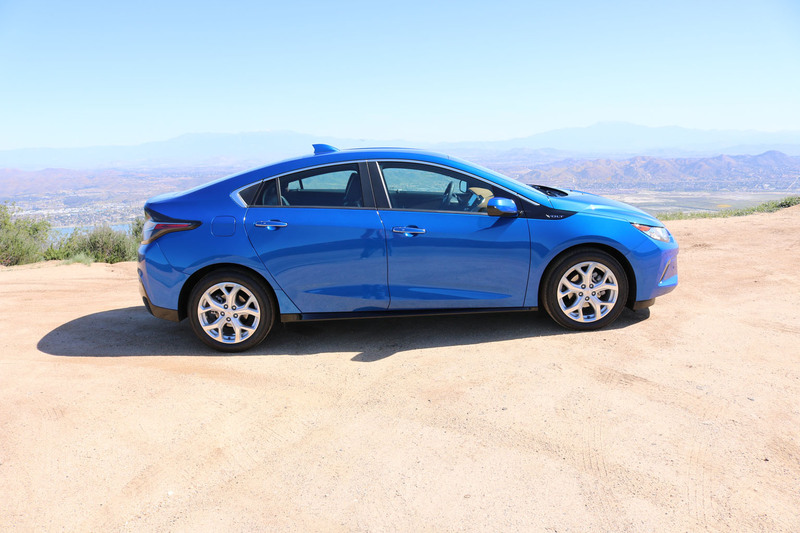 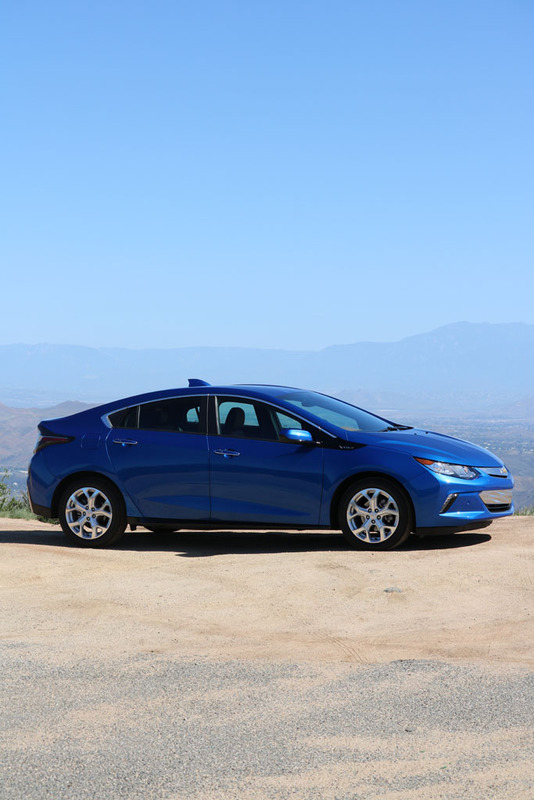 I had really been looking forward to driving the new Chevrolet Volt. 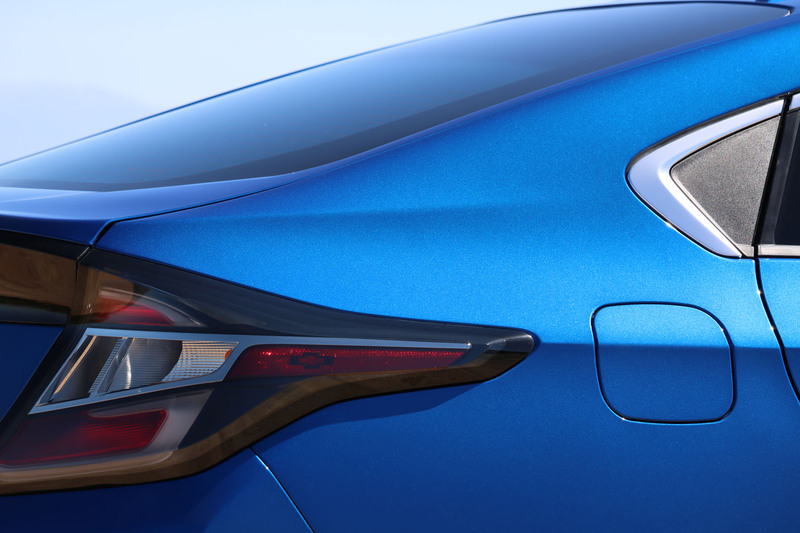 I remember not being too convinced of the exterior design on the previous generation, especially the blacked out areas below the side windows to me were too far fetched. 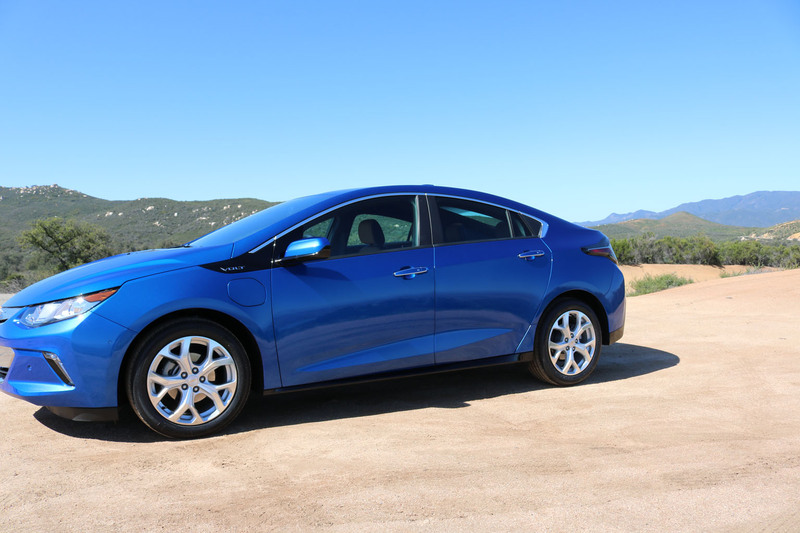 I have seen the new Volt go by a few times already and I was pleasantly surprised. 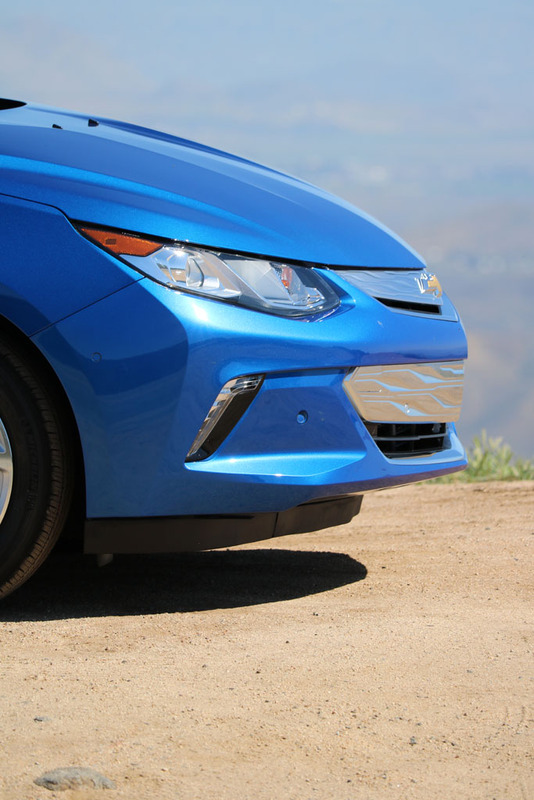 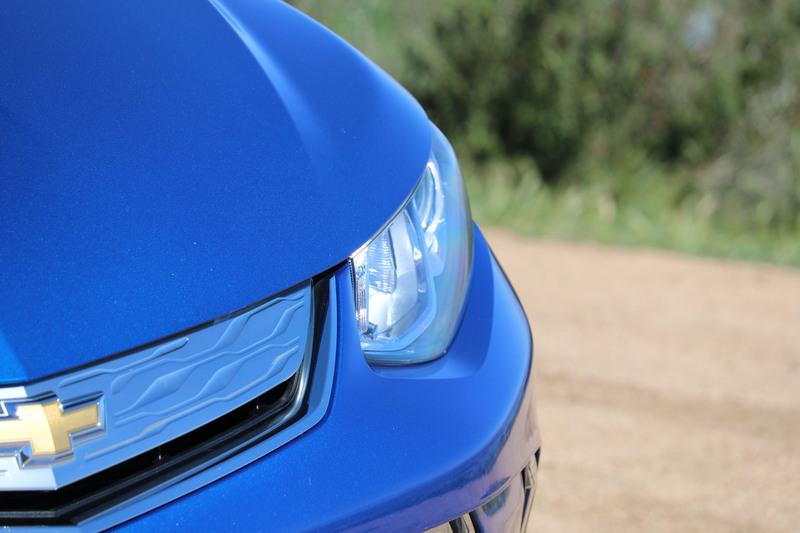 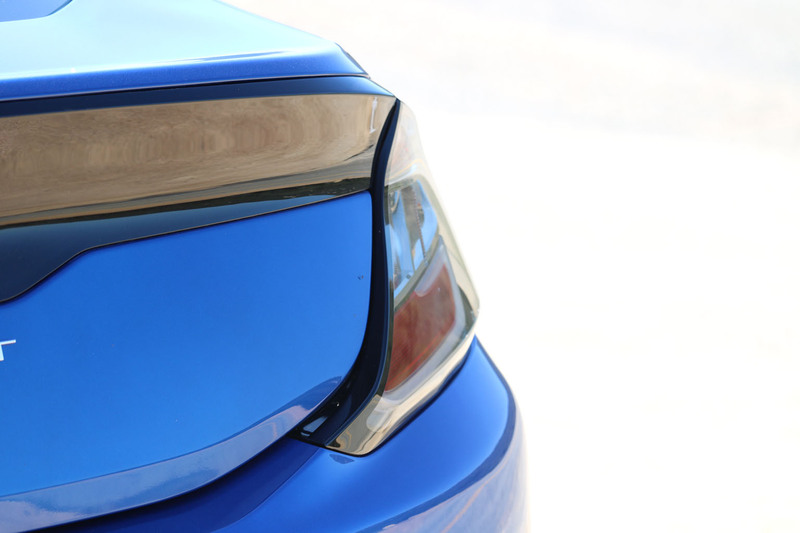 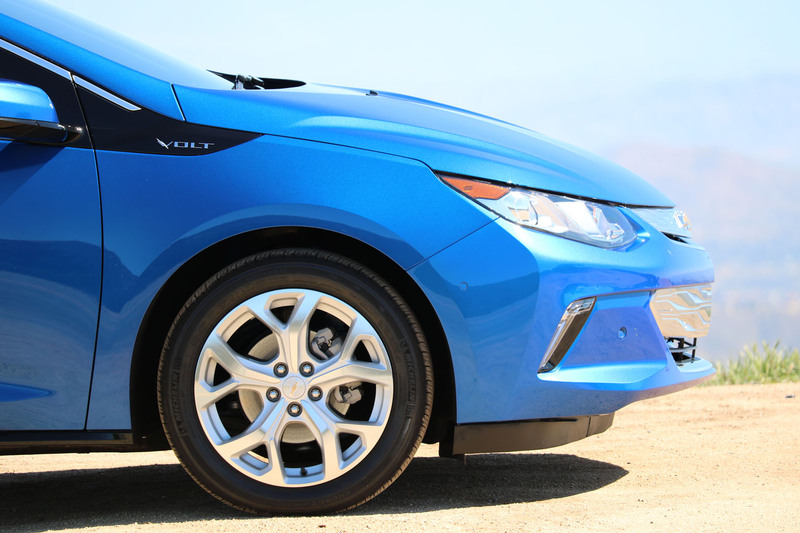 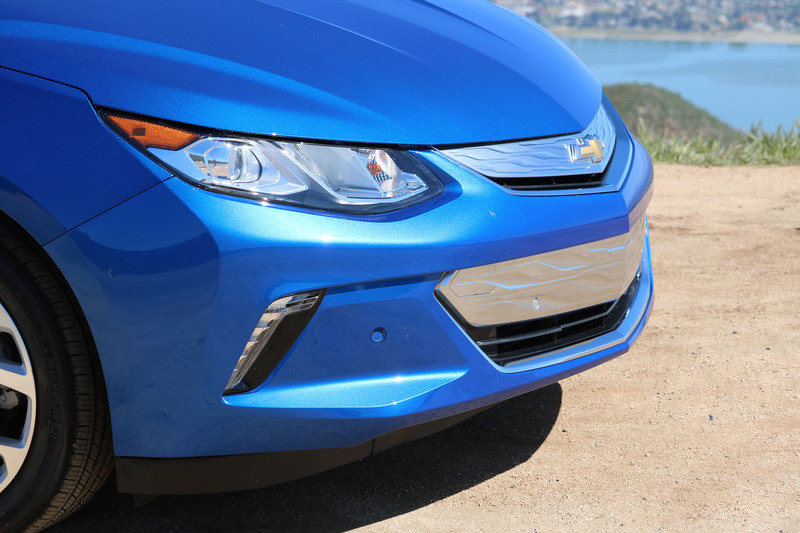 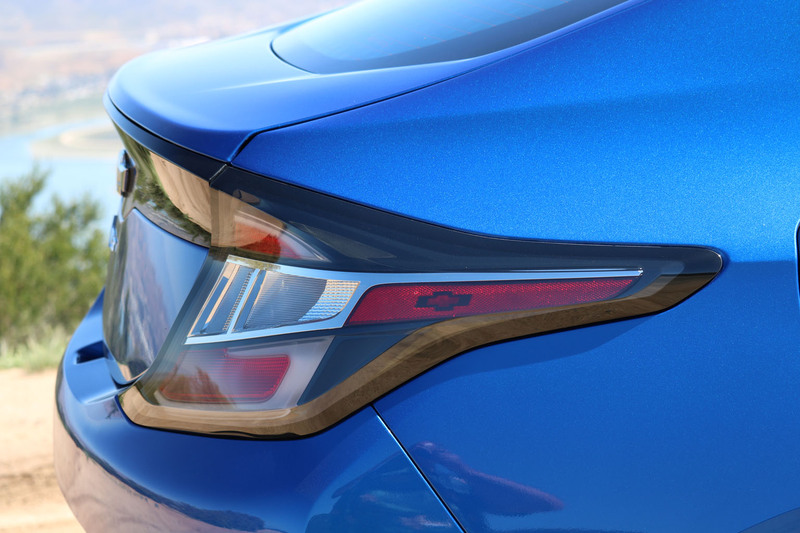 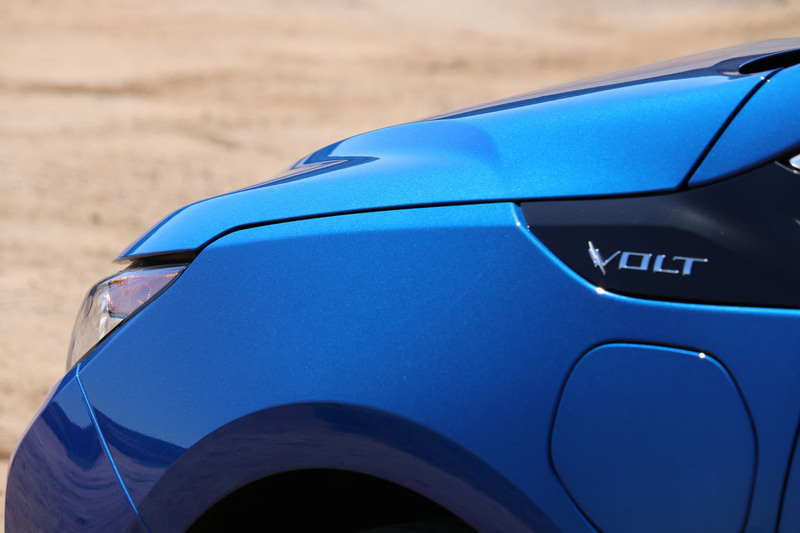 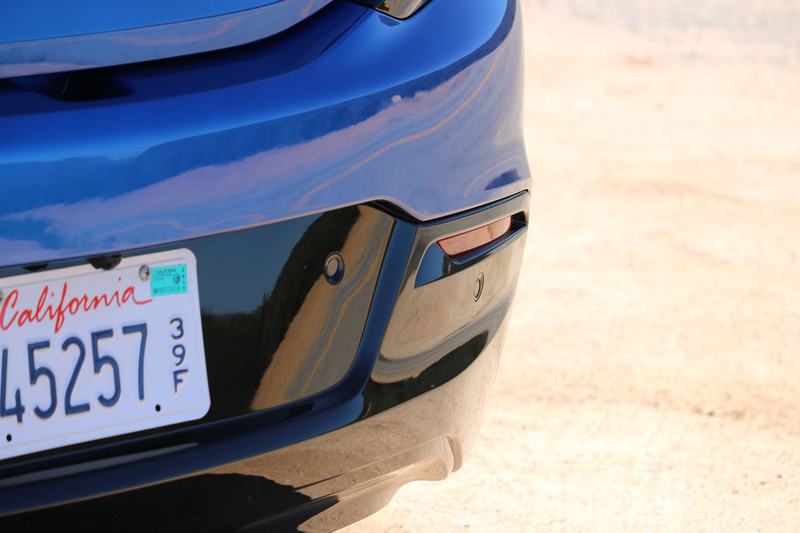 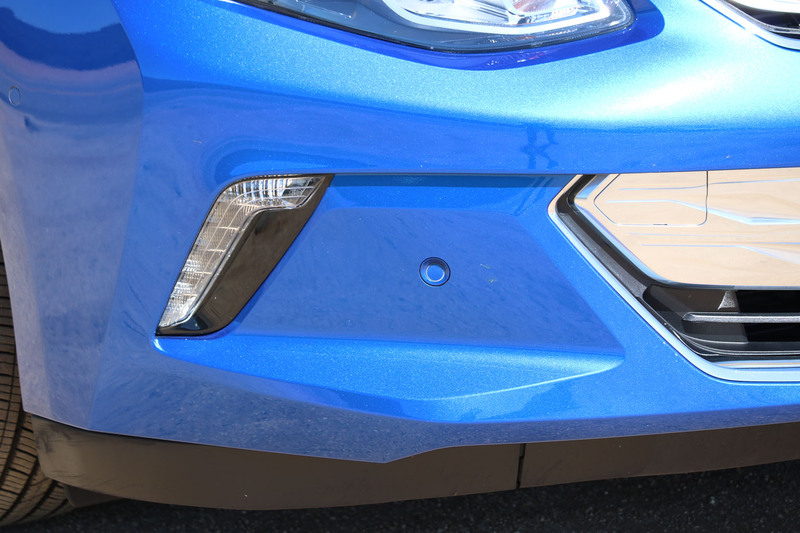 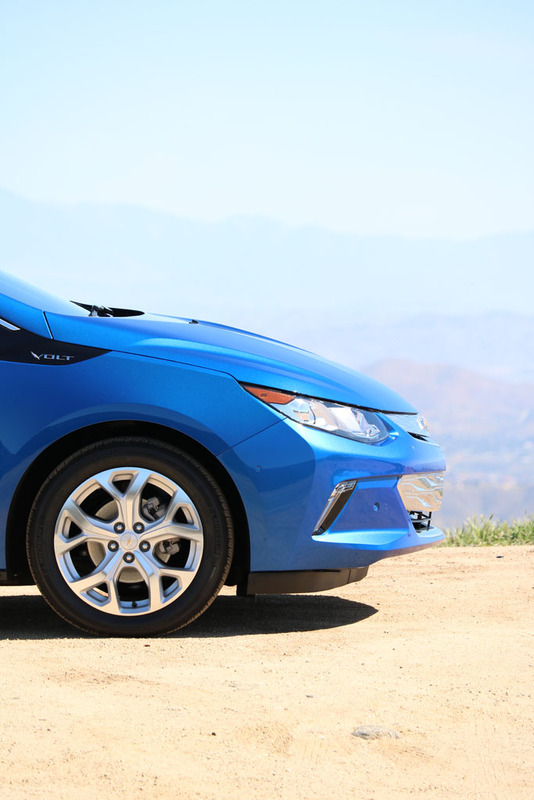 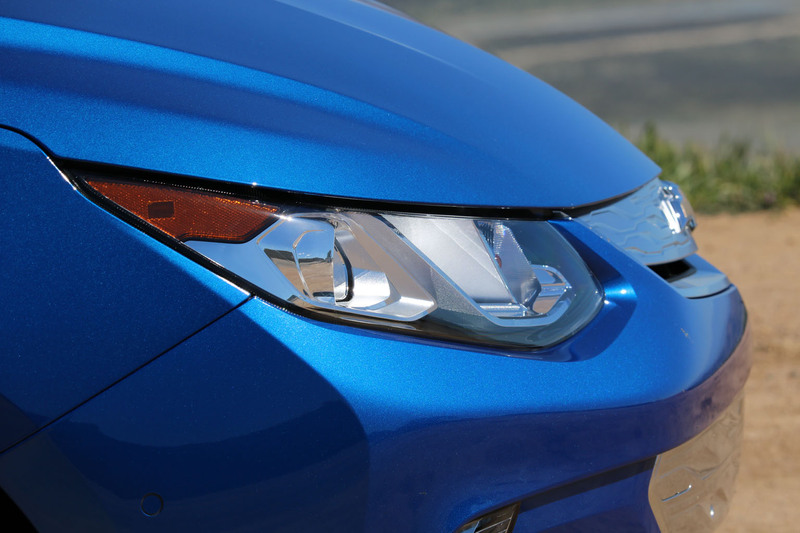 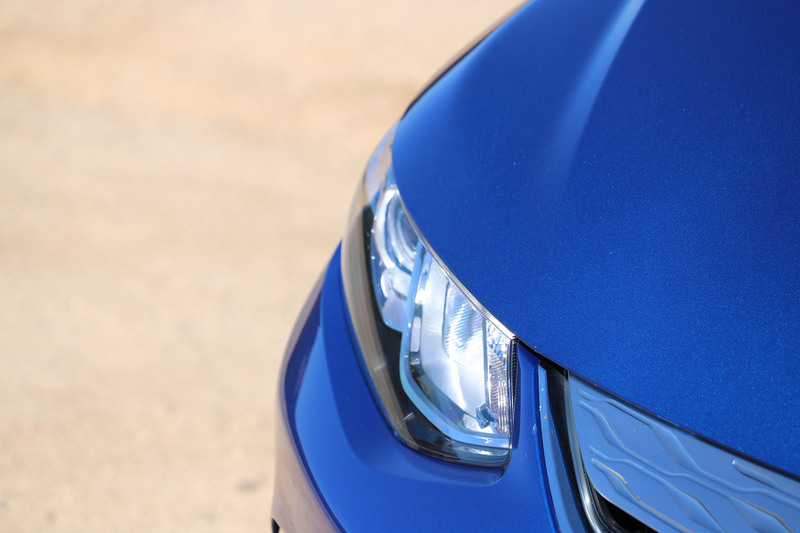 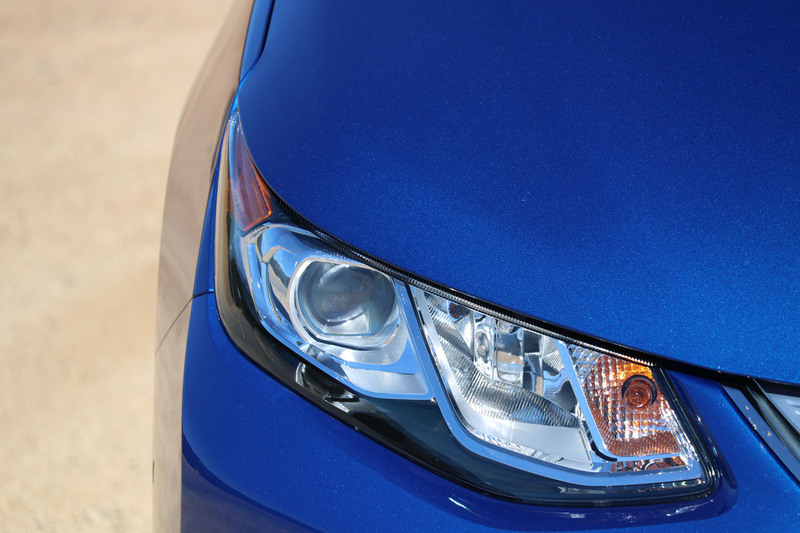 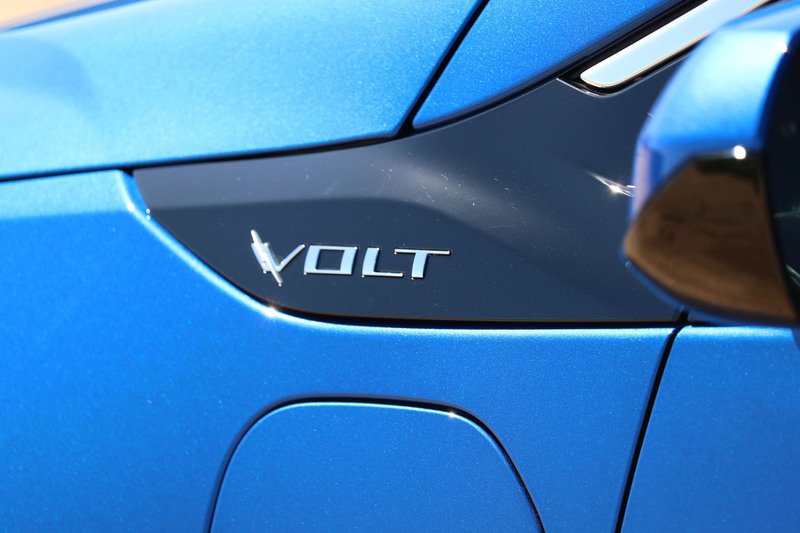 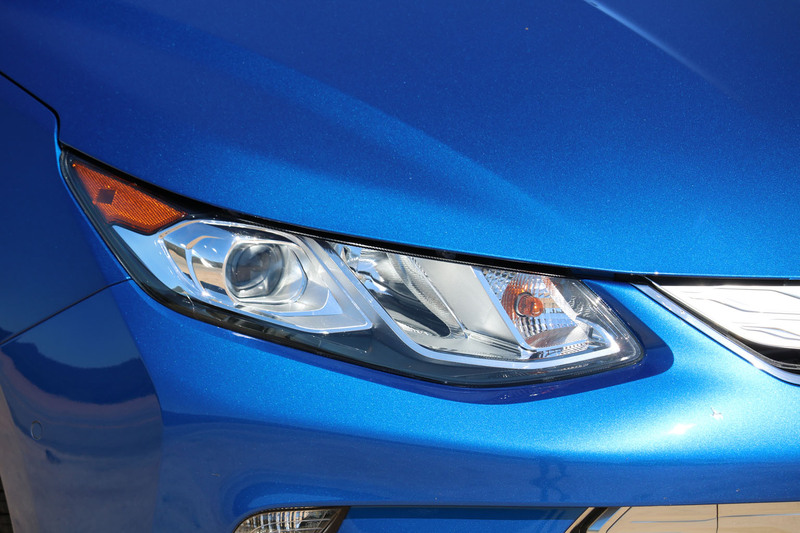 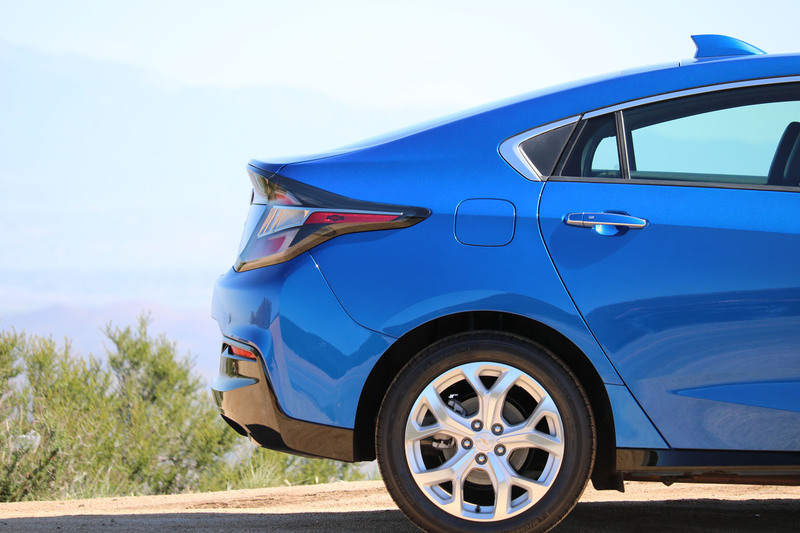 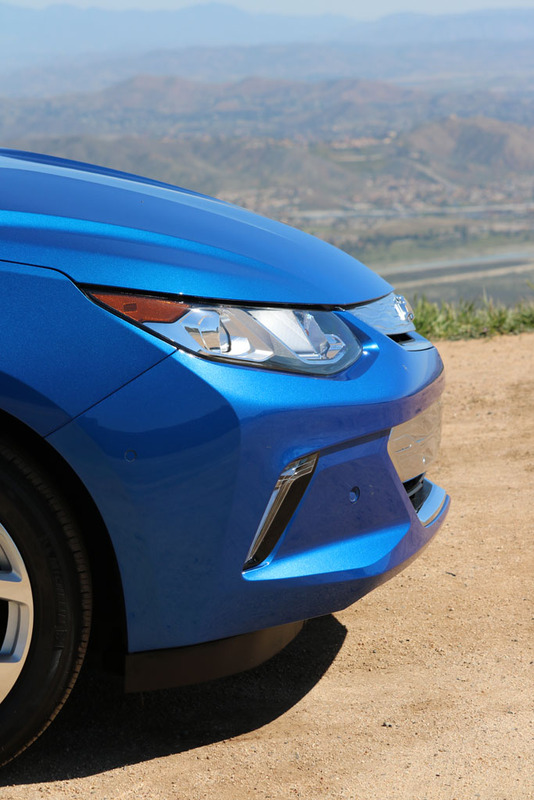 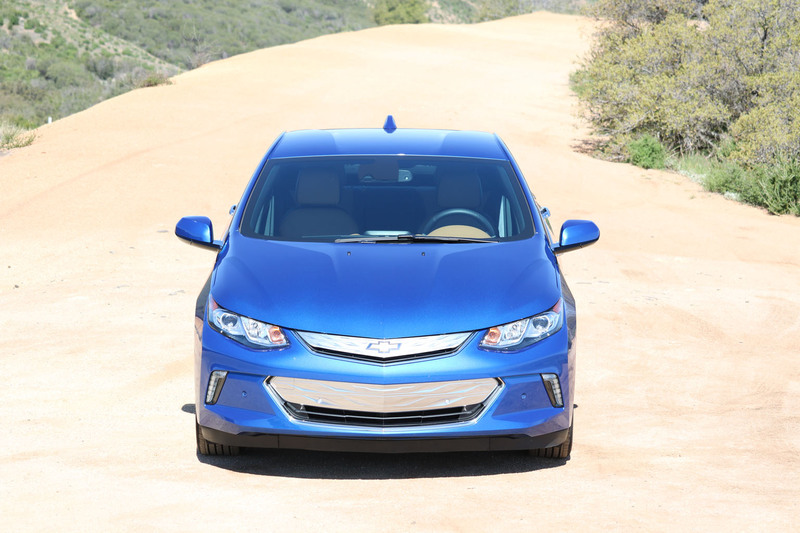 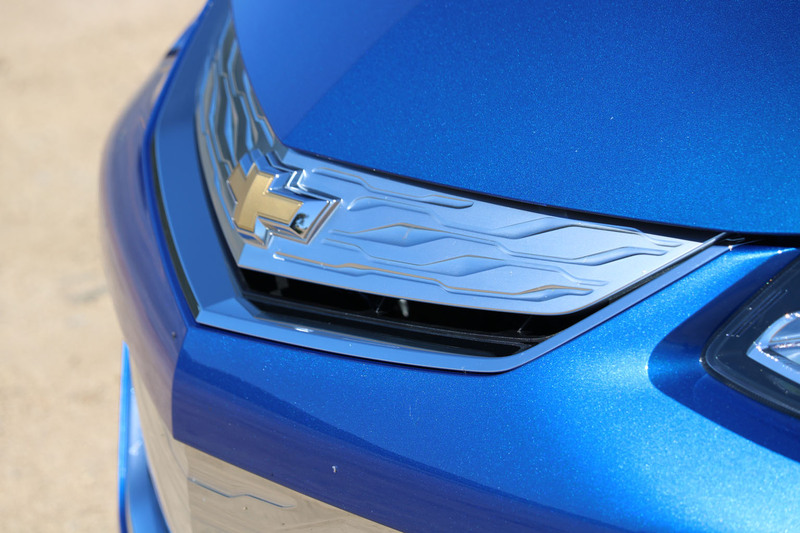 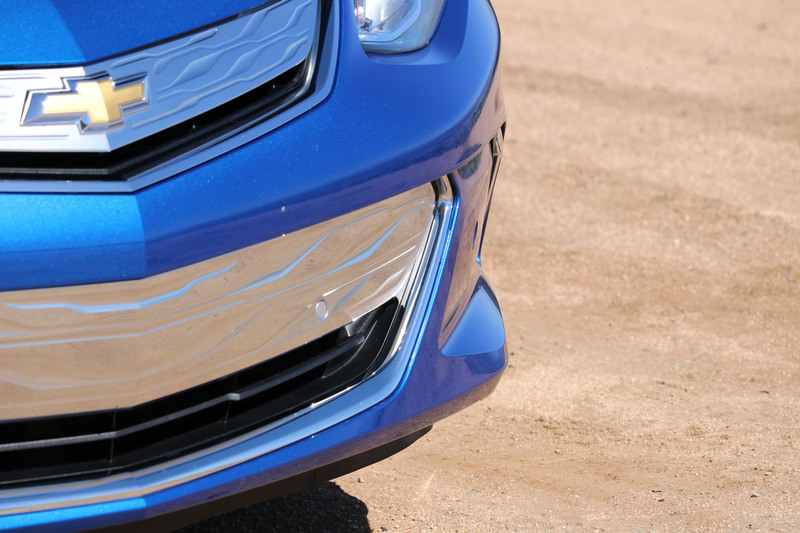 A closer look only confirmed how much more appealing this Volt is. 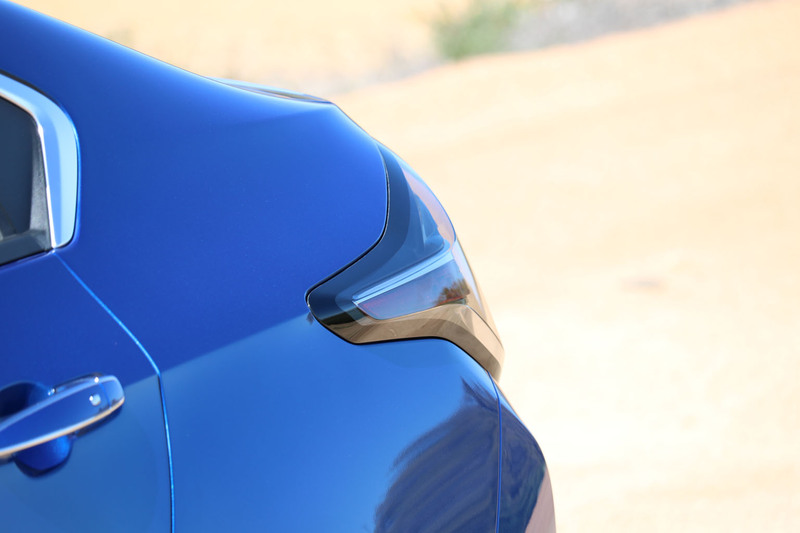 I liked the general sculpting on the exterior surfaces, with some interesting changes in surface going on, and the attention to details seemed to be just right as well. 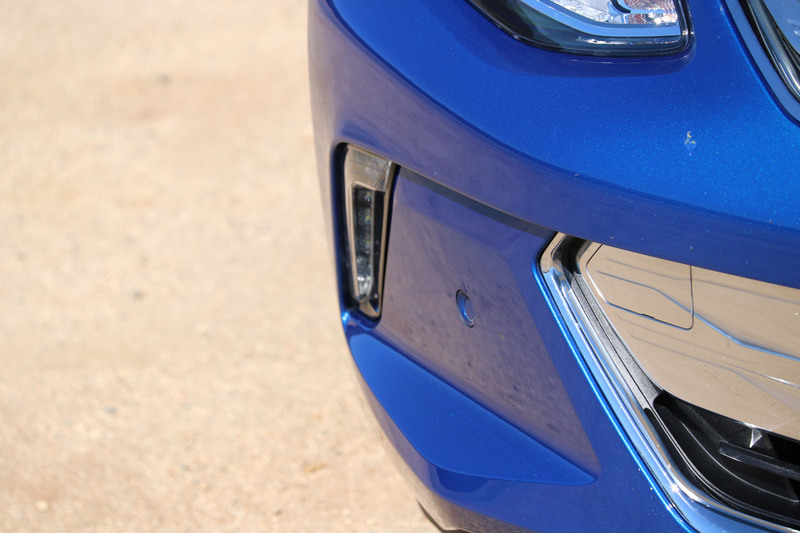 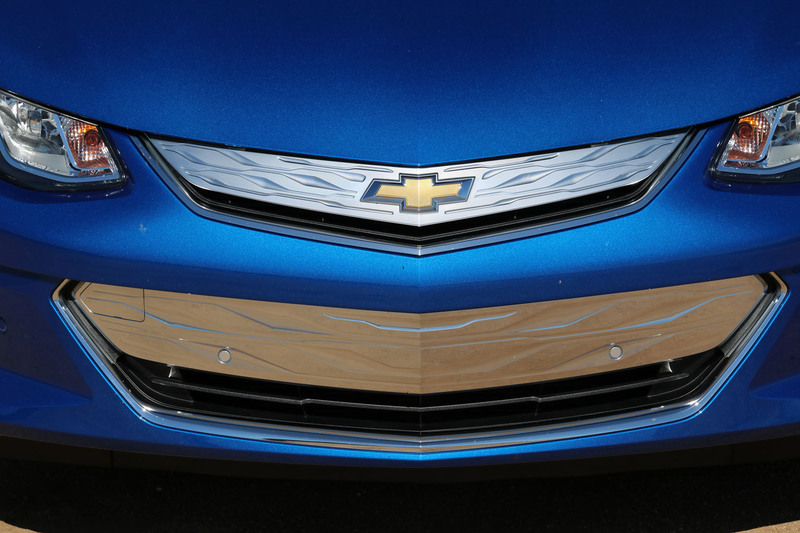 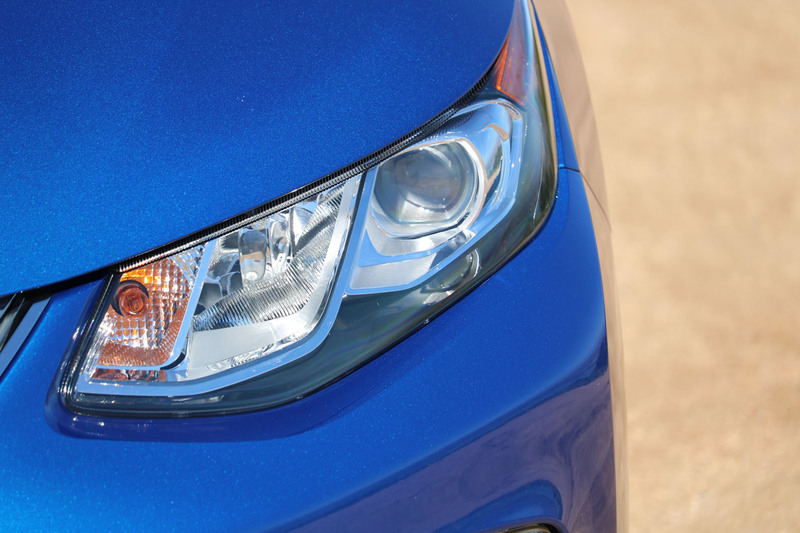 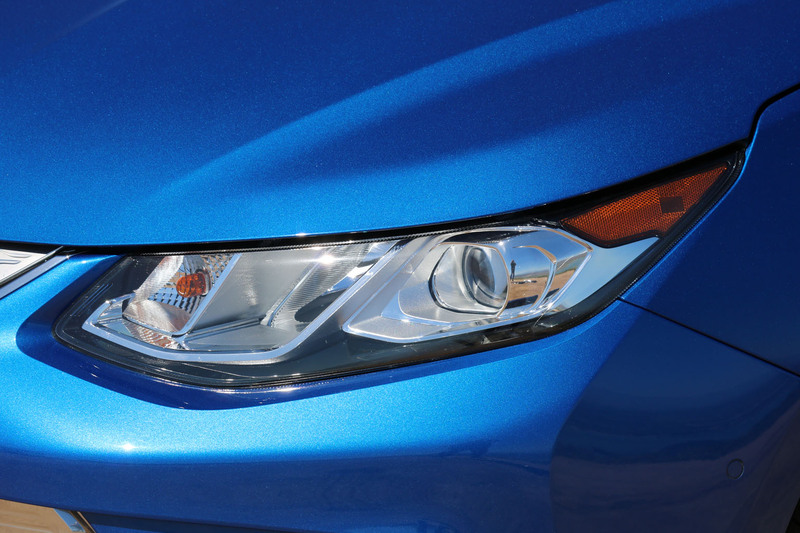 The headlight units as well as the repeated Chevrolet bowtie in the shielding on upper and lower grille do make it stand out. 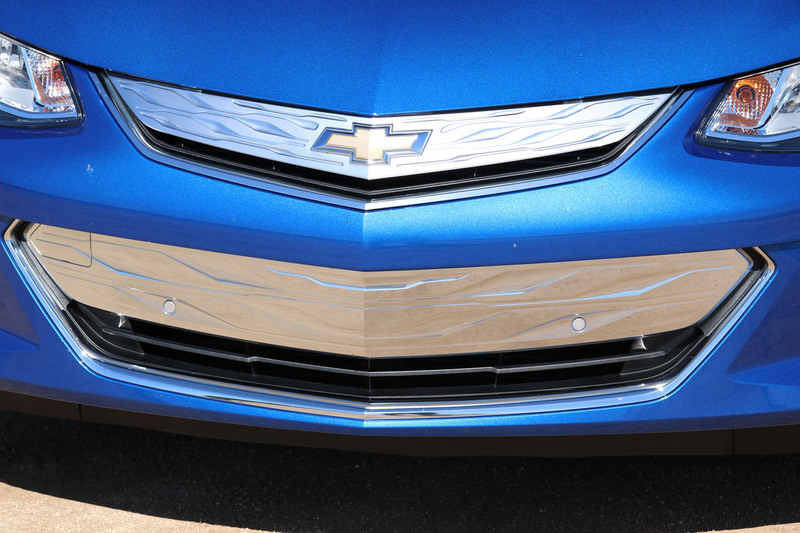 One small concern I have is the overall center line. 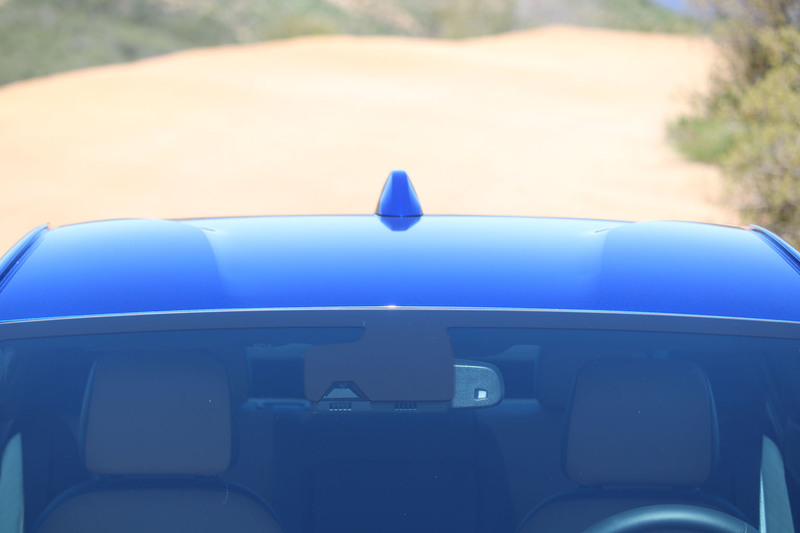 It seems that the highest point is too far forward, too centrally placed, which would not be bad if it was followed by a more subtle downward curve behind it, but instead that curve seems to almost break at that center point. 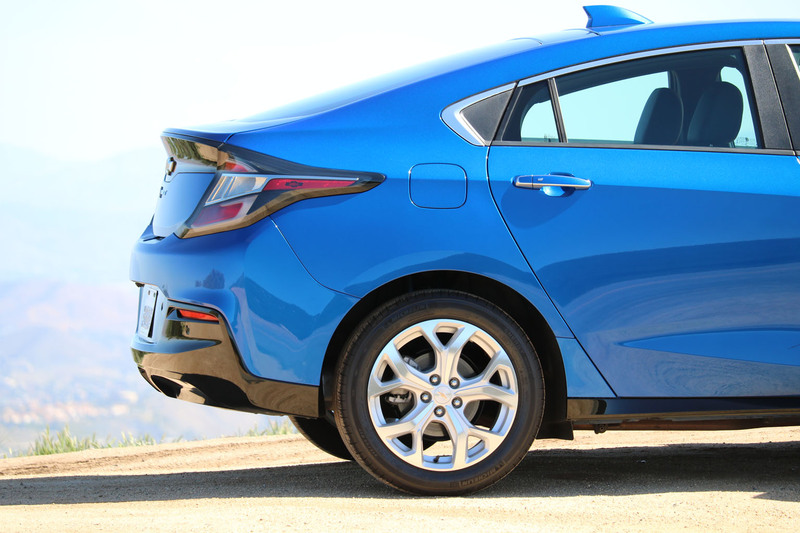 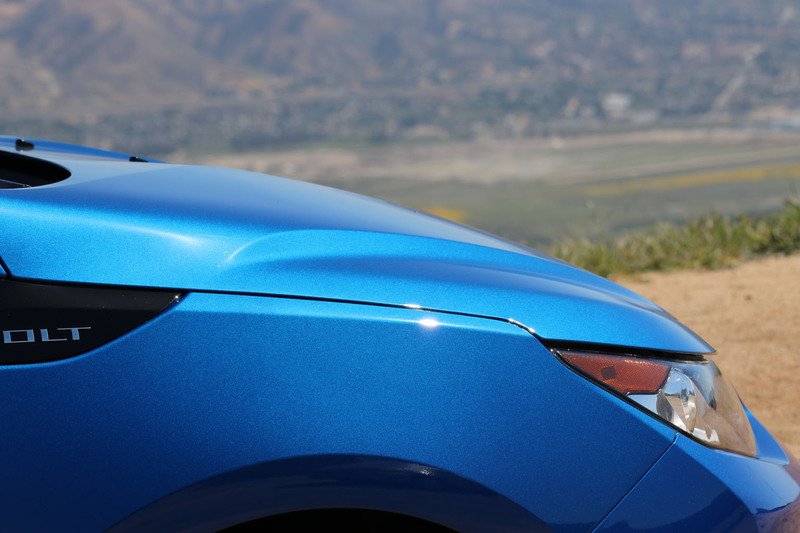 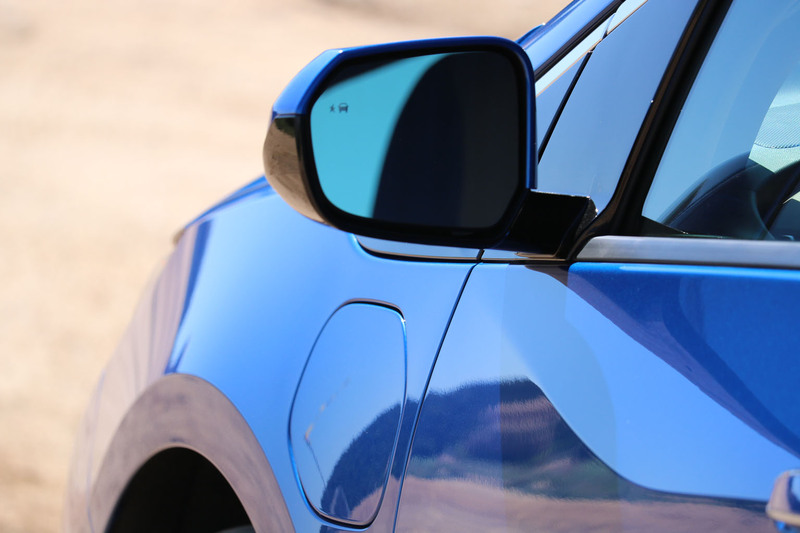 It doesn’t only hurt the overall view, it also compromises interior headroom in the rear. 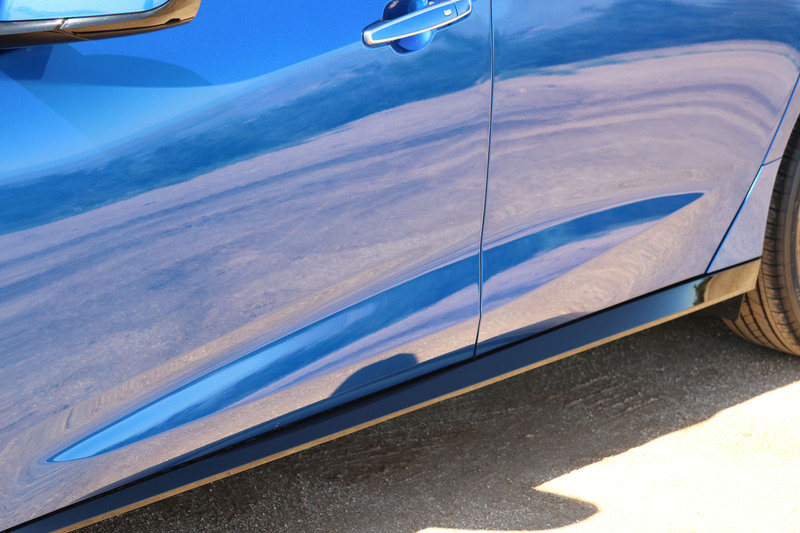 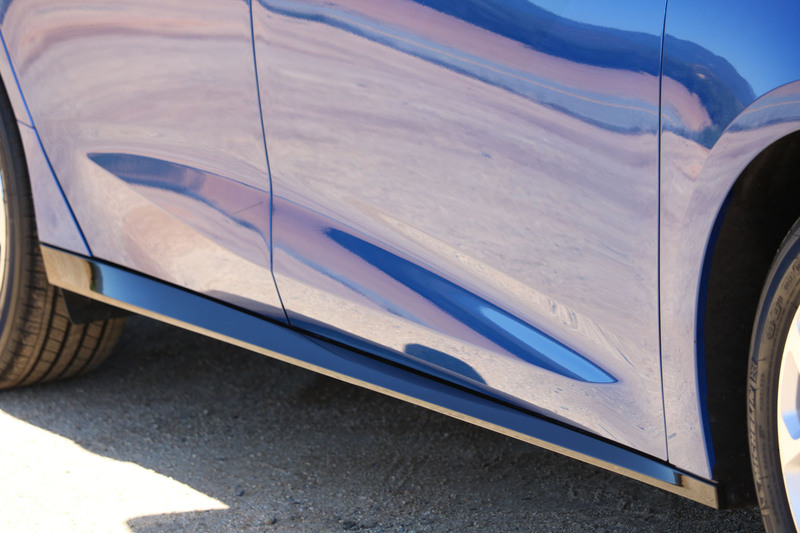 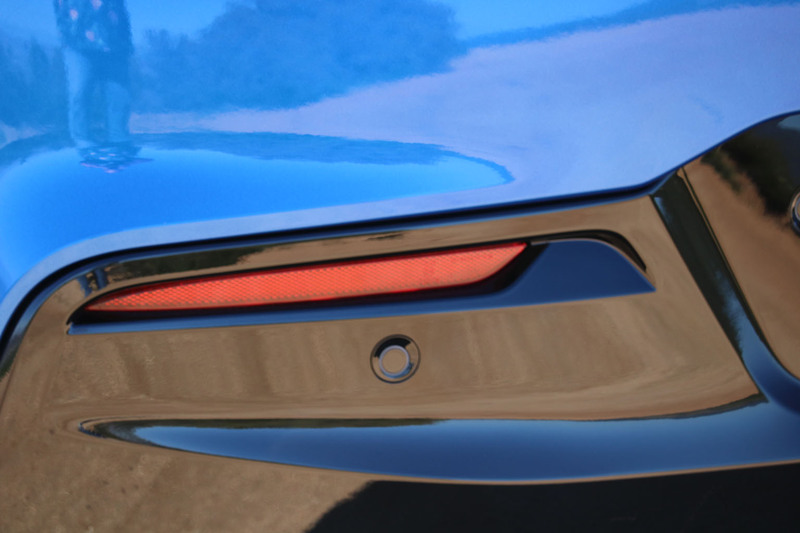 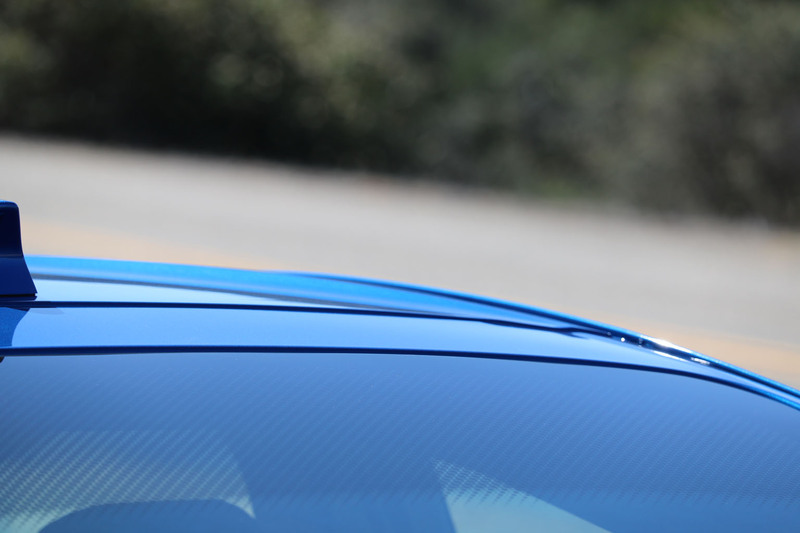 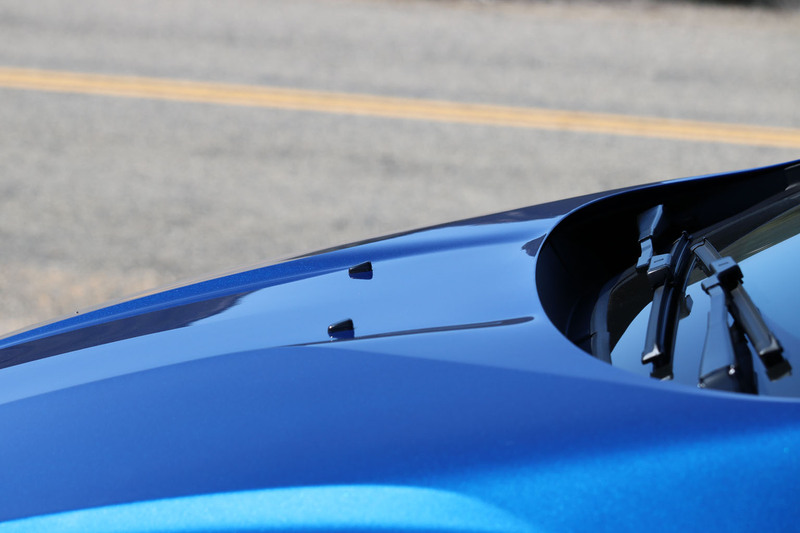 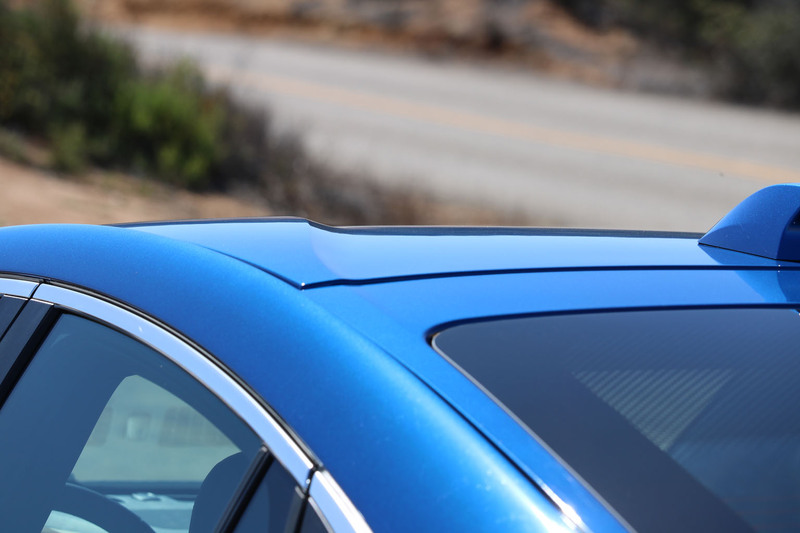 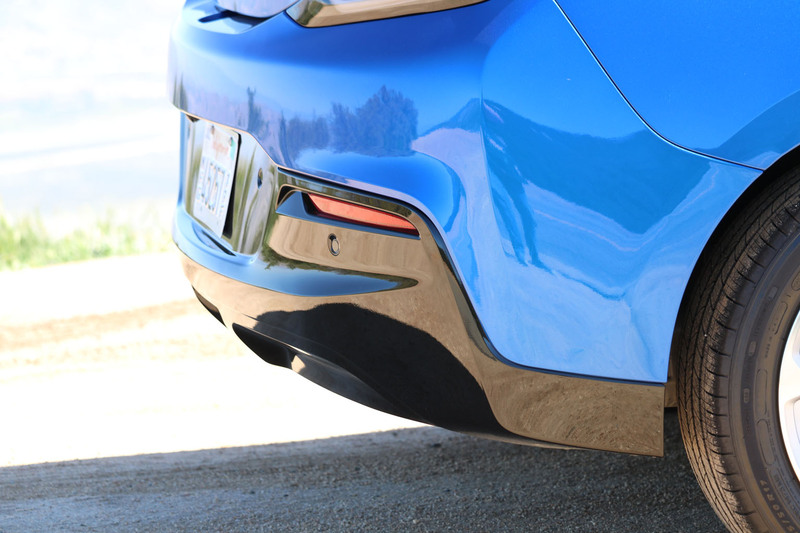 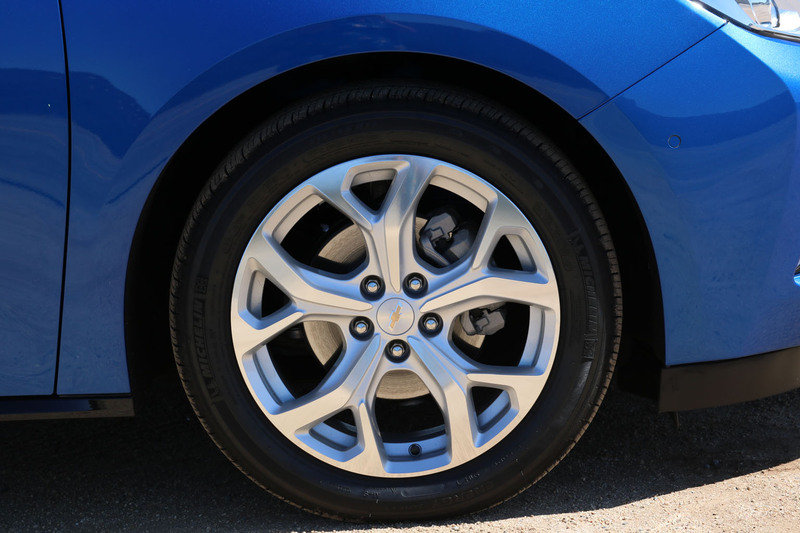 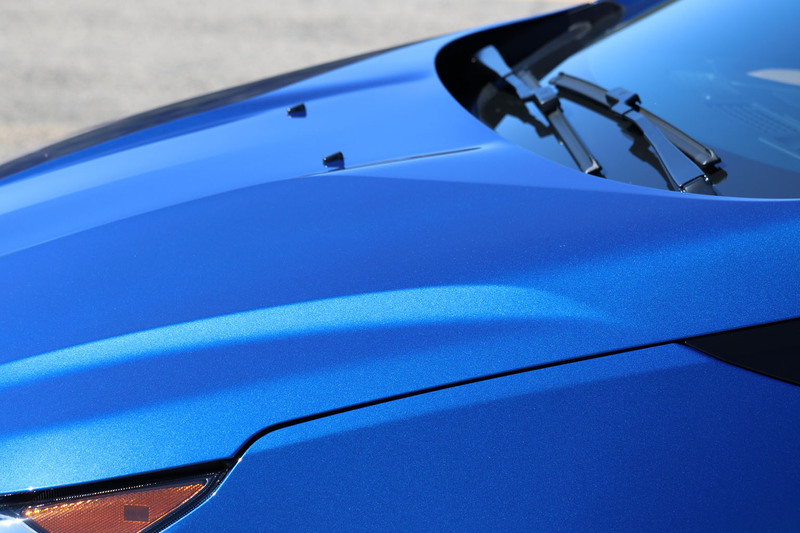 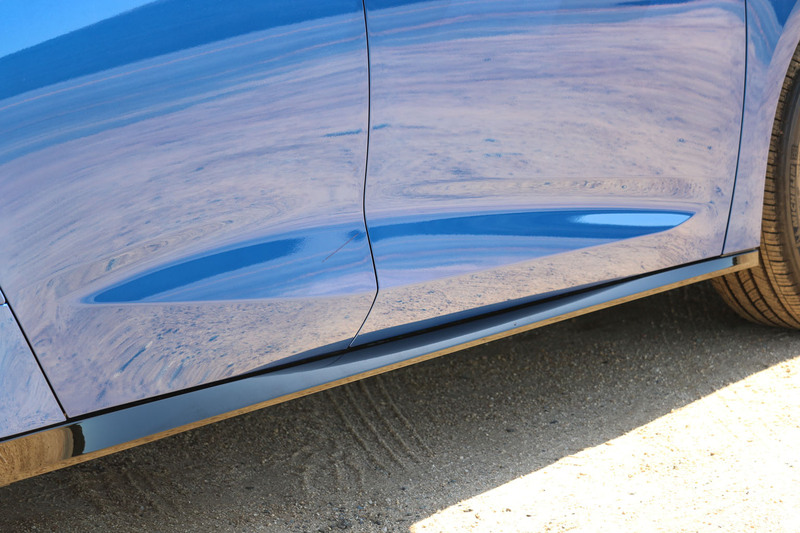 Carrying that height of the center on for a little longer and bending it down more gradually wouldn’t reap havoc on the aerodynamics, and it would improve the usability of the car. 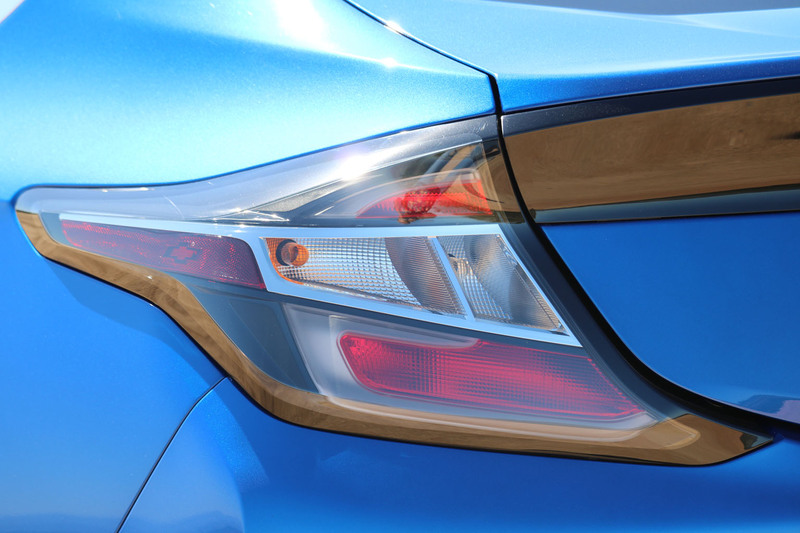 The interior design in itself seemed very upper class compared to the likes of the Prius though. 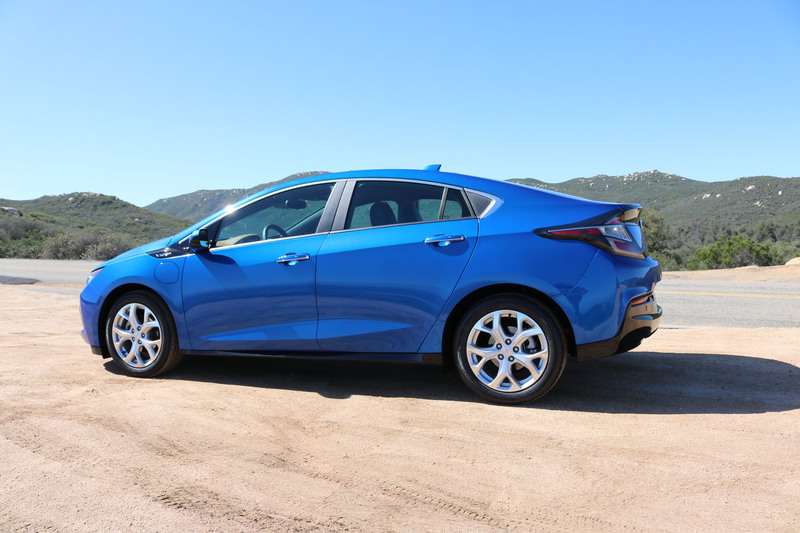 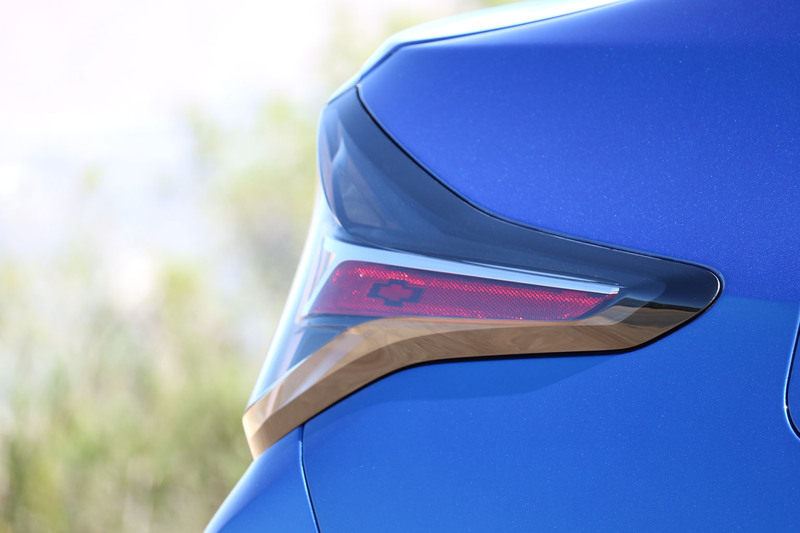 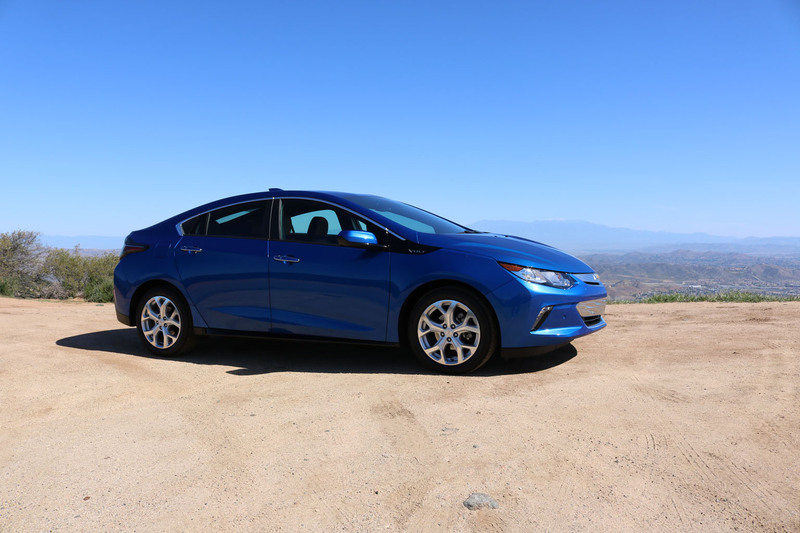 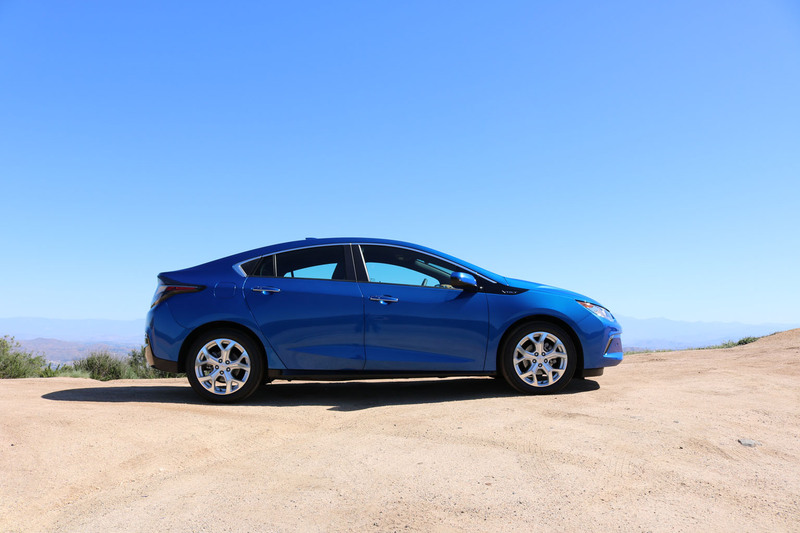 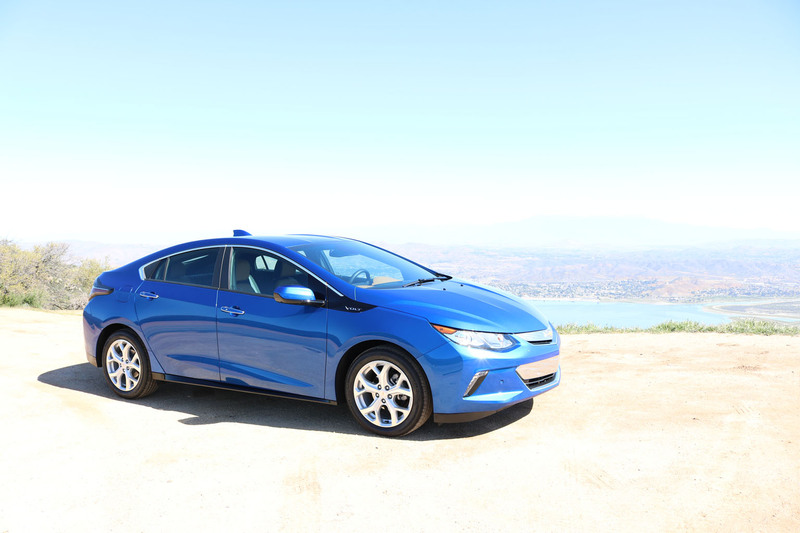 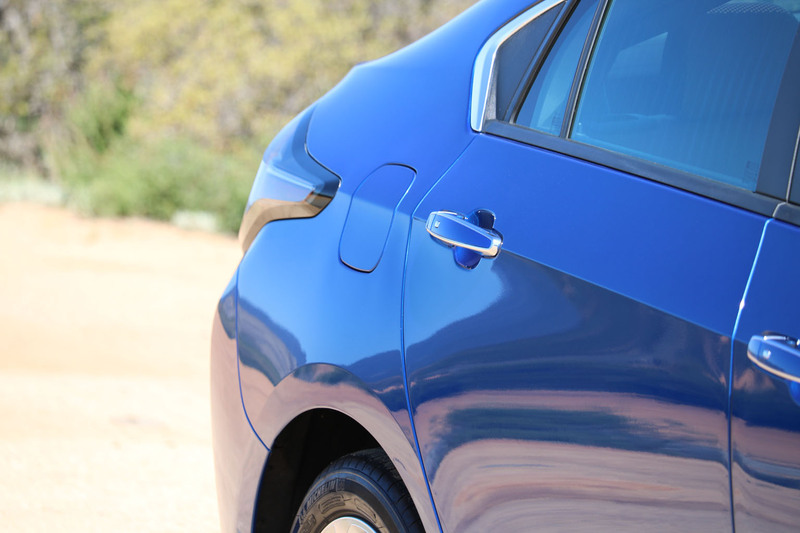 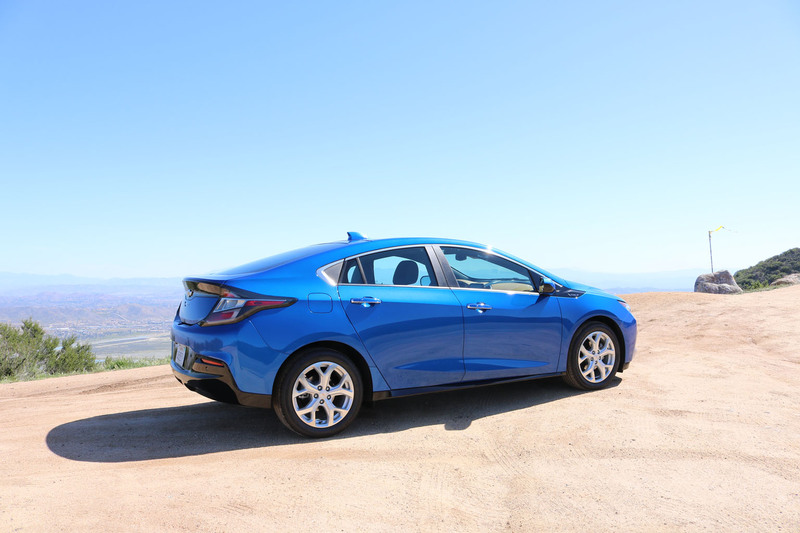 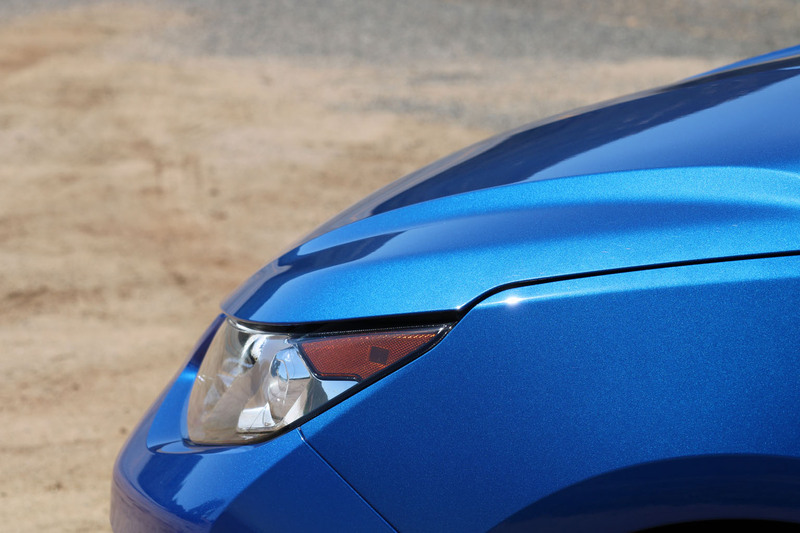 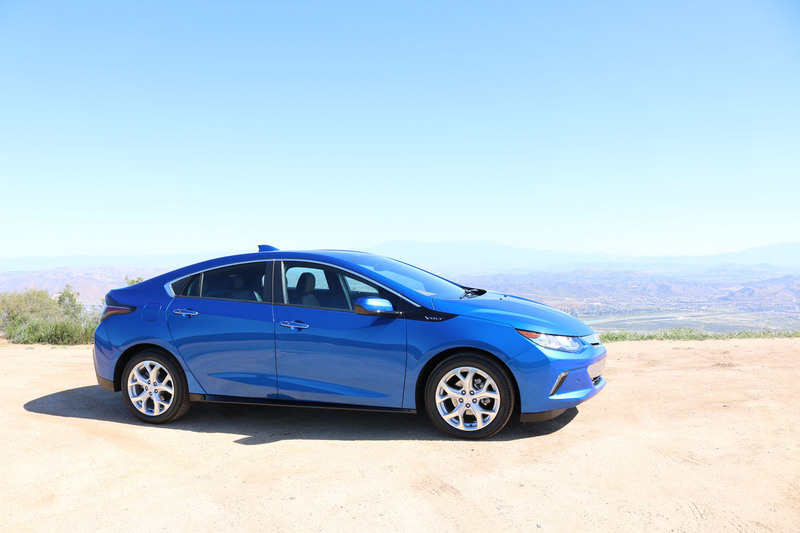 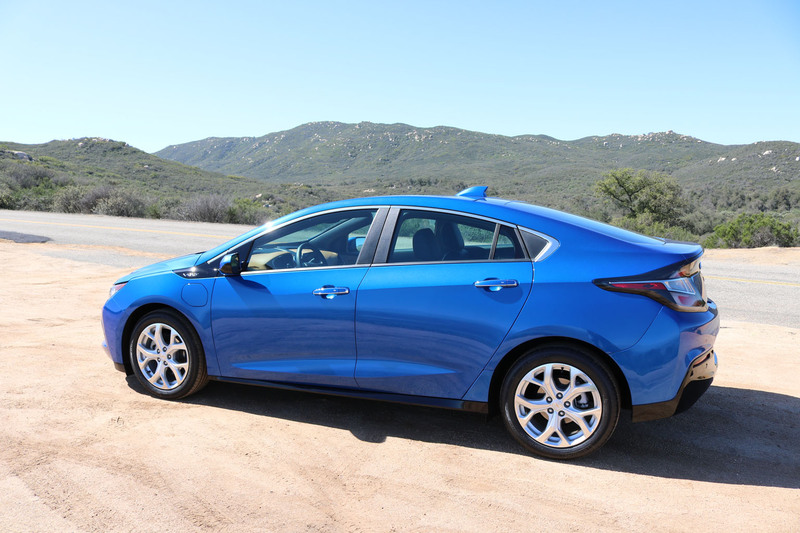 The use of materials and the even the parts-bin parts carried over from other GM vehicles clearly suggest a higher level of material and execution than the Toyota prefers to use. 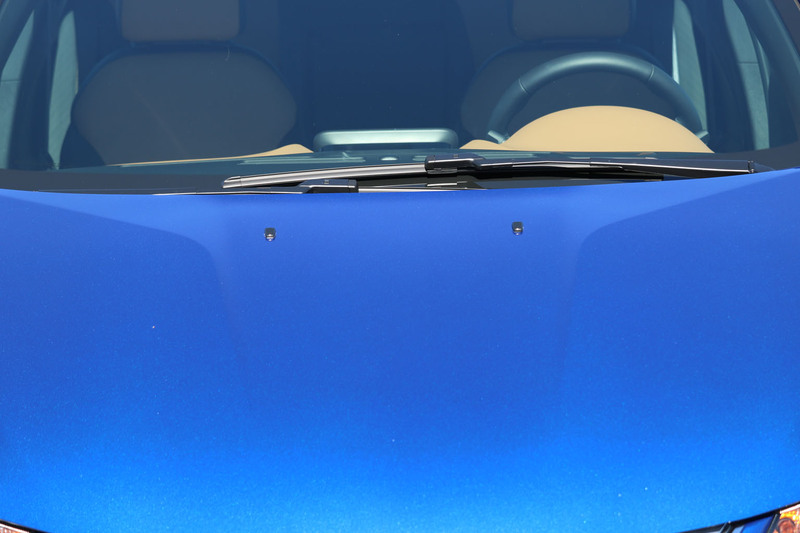 Practically I did like the ergonomics of the seating position, with enough space to find a comfortable place of operations even for the taller drivers. 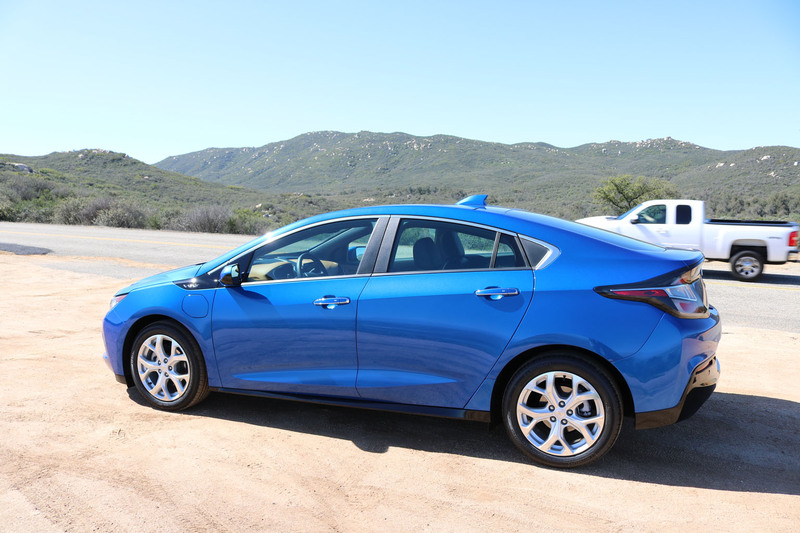 Everything was in good reach, though I have to admit that I did miss a central ‘mouse’ type button on the center console, which would have prevented me from having to lean in too much to chose the touch screen menu options. 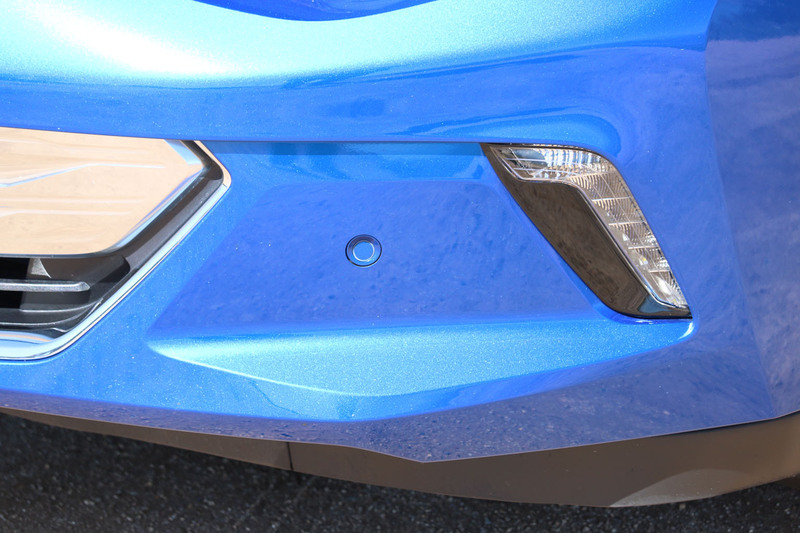 I did find that with my 6’3″ and a bit had difficulty with ingress and egress. 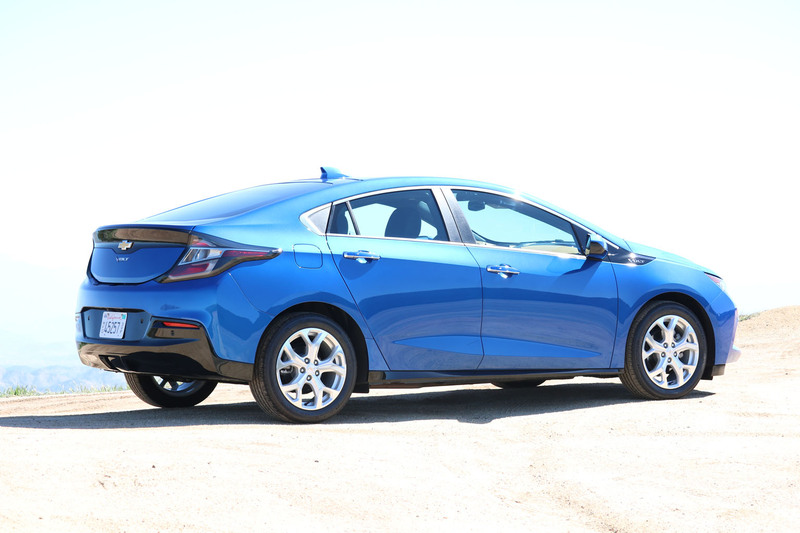 I understand that the airbag systems take up much space all around the door openings, and it is clearly more easy to build those in to the non moving parts, but since it is not impossible, compromising the ingress and egress this much makes the Volt less of an option for the taller and the older drivers, something I think would be worthwhile considering. 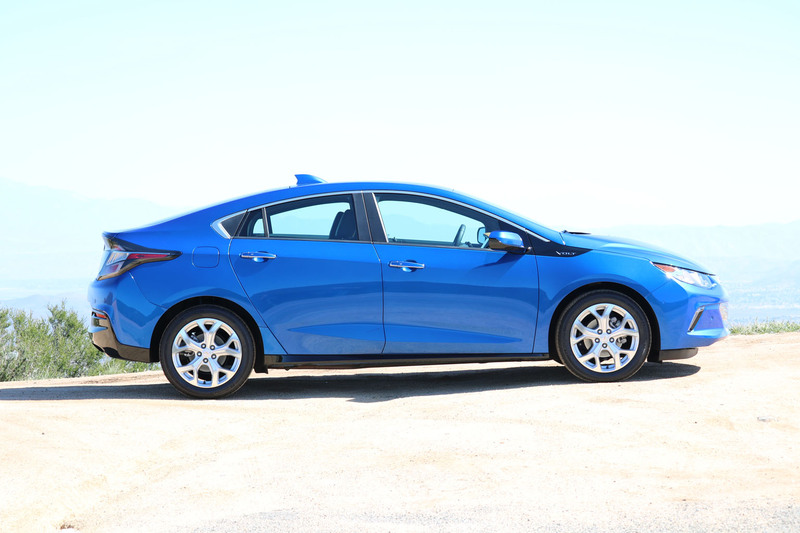 Ingress and egress in the rear as well as interior space in the rear are also a bit of an issue. 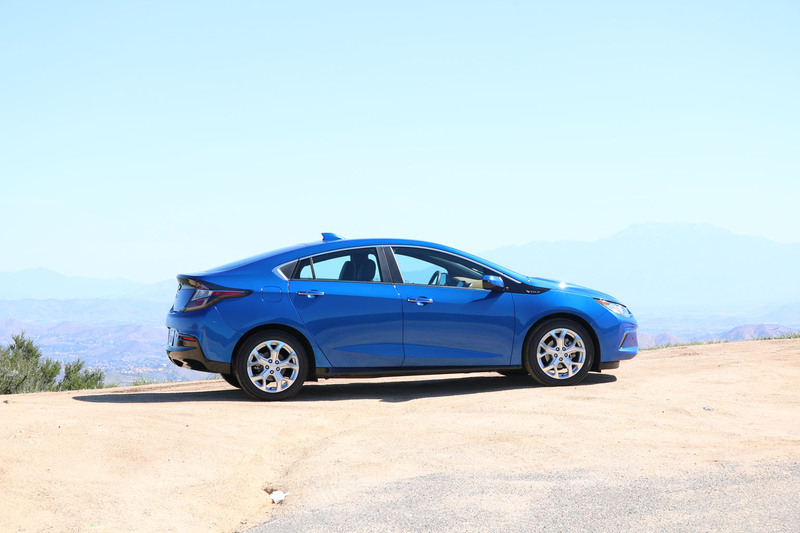 With the double equipment of both batteries, electric motors as well as a conventional engine, space is at a premium, but then there would have been that option to prolong the roof a bit more to aid with that. 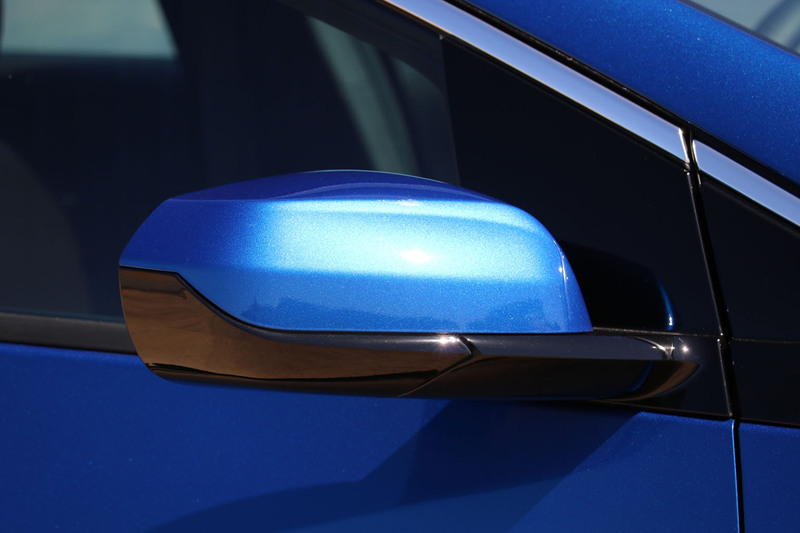 Usability is an issue for me. 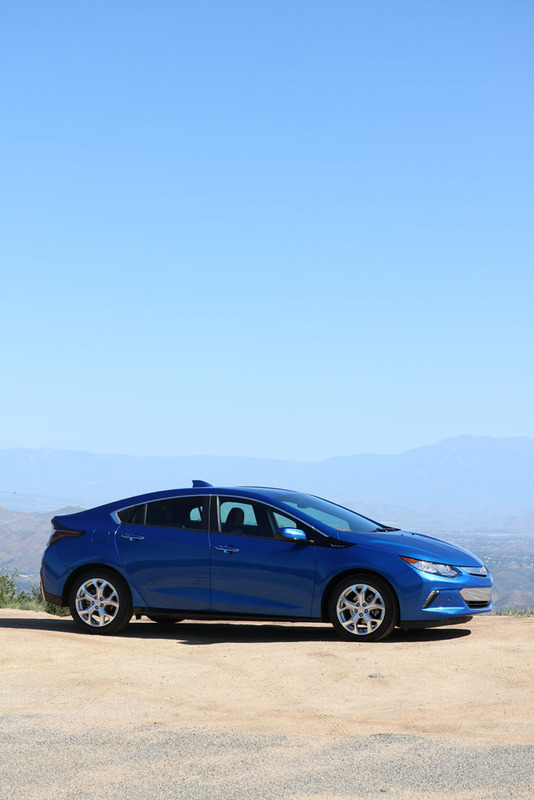 I LOVE the idea of being considerate of the environment, so anything that reduces the output of CO2 is a plus. 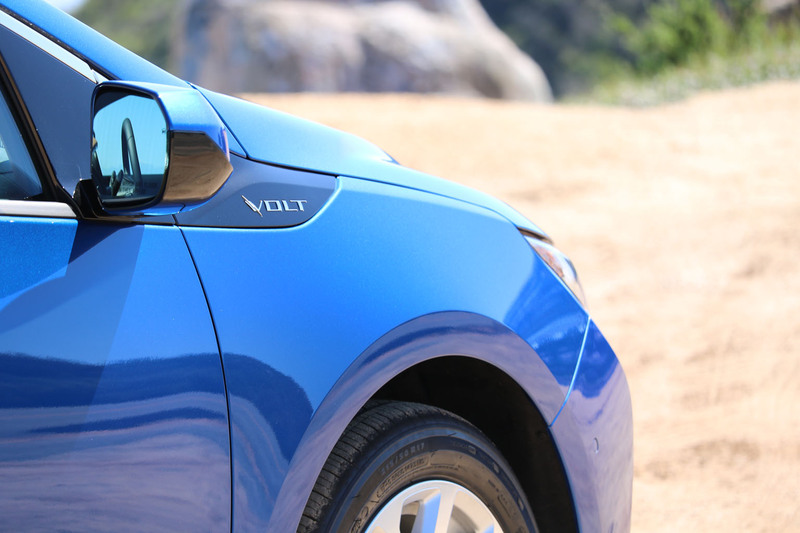 However, given that most people do not have 220/240V outlets in their garages or car ports, I find that it does take an awful lot of time to charge the Volt up when limited to 110V only. 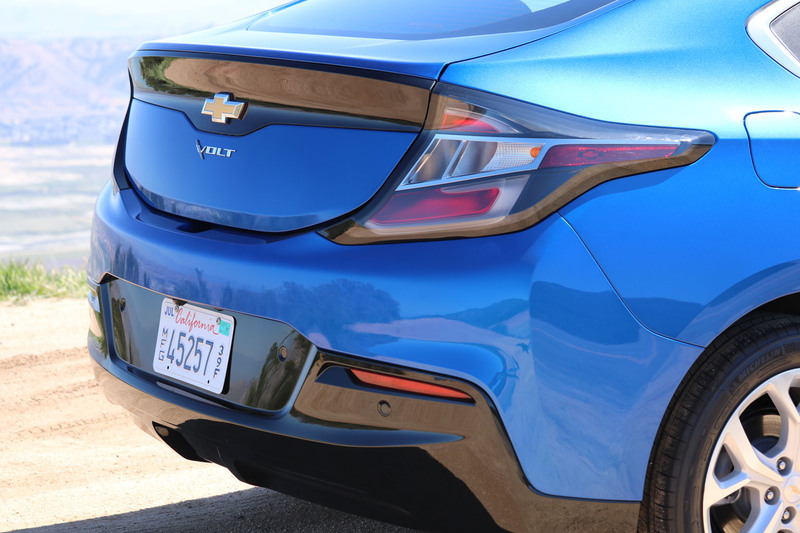 With a lot of patience it took over 18 hours to get 47 miles of charge in there, 47 miles which were gone after about 22 miles of driving in normal conditions. 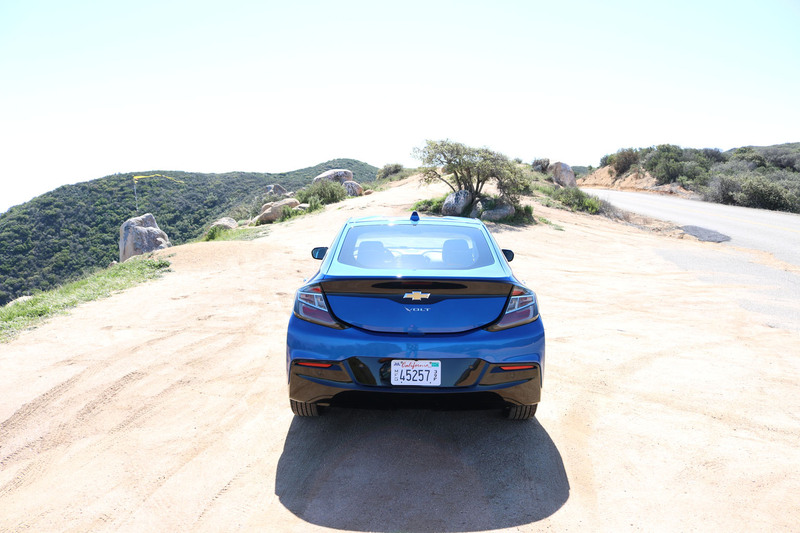 Searching for charging stations nearby is also not really an option, sadly. 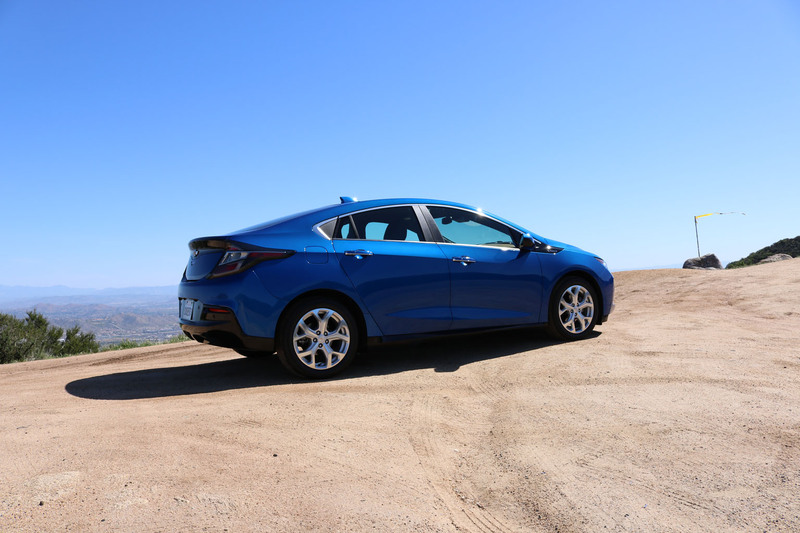 The provided subscription card had only sporadic coverage, and even there charging takes a lot of time, since there was no option for a fast charger. 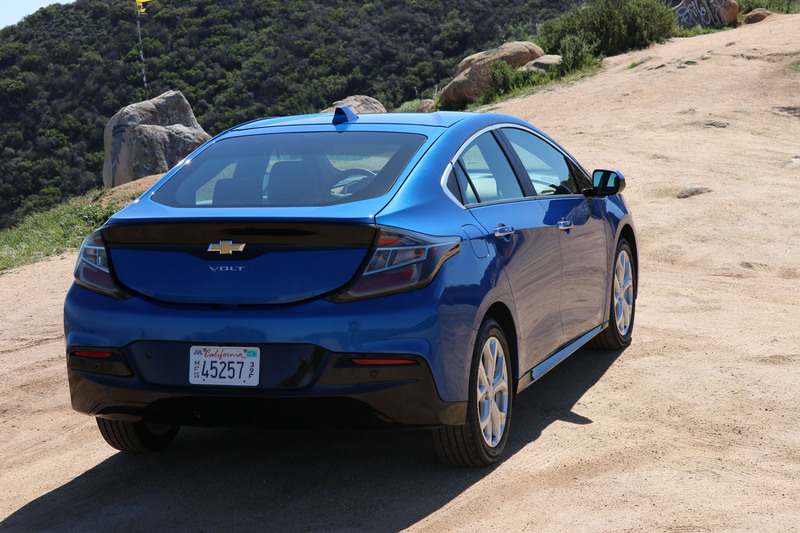 Of course you then have the normal engine, but that engine is carrying the weight of the batteries as well as the electric power train as well, so it is not making most efficient use of the energy if you’re limited in your charging options. 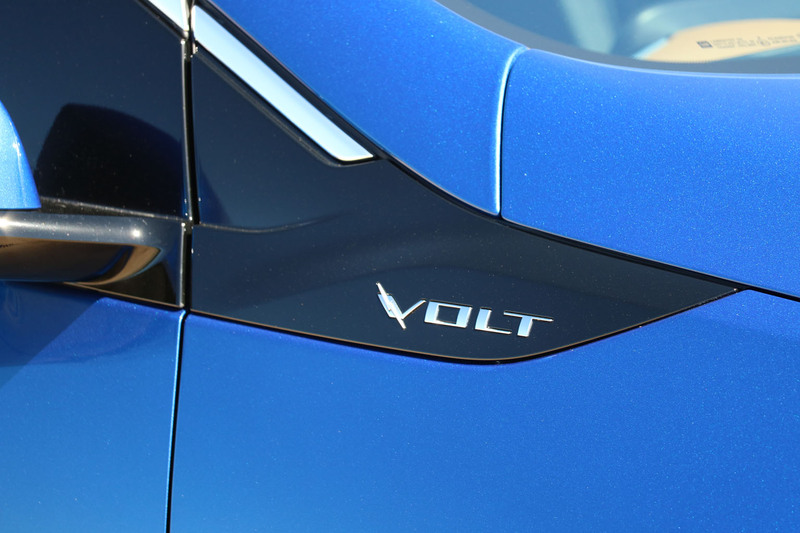 It would be good in there would be an option to fast charge the Volt, and especially if the range could be increased. 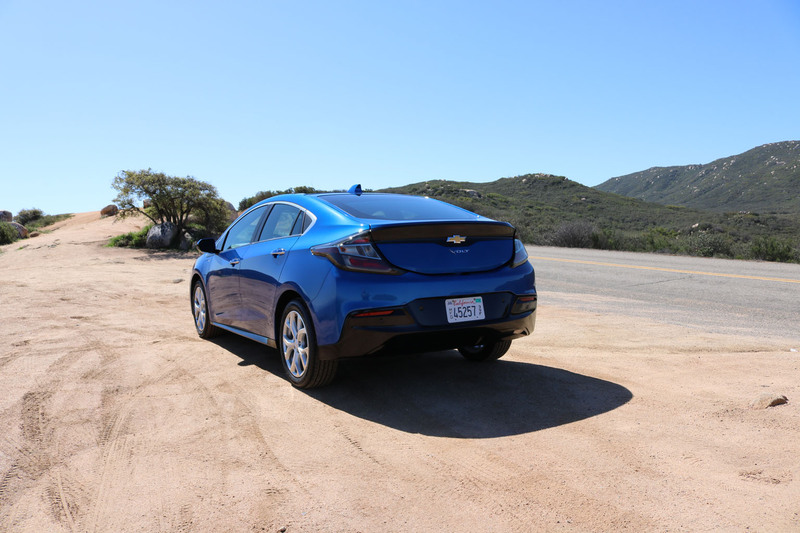 40-50 miles is used really quickly in the US.